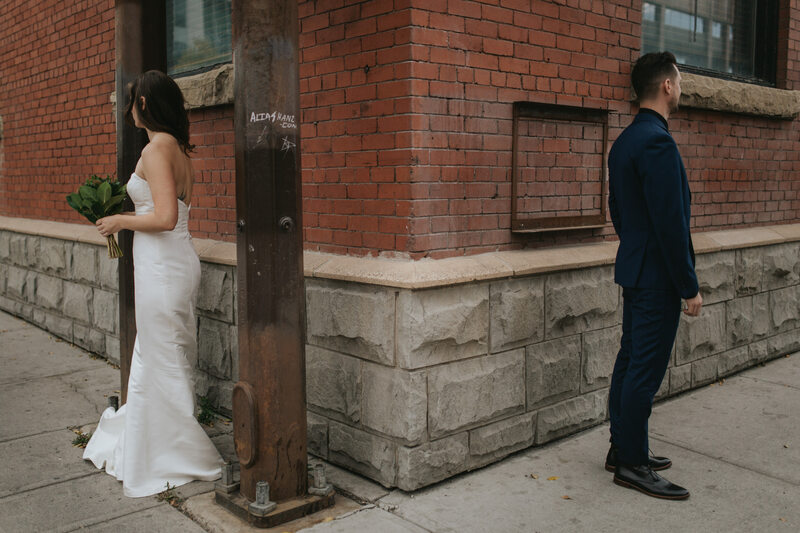 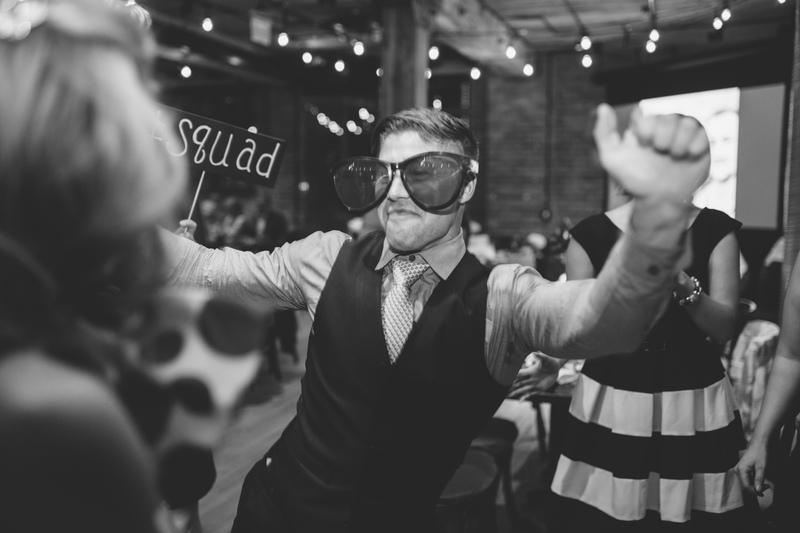 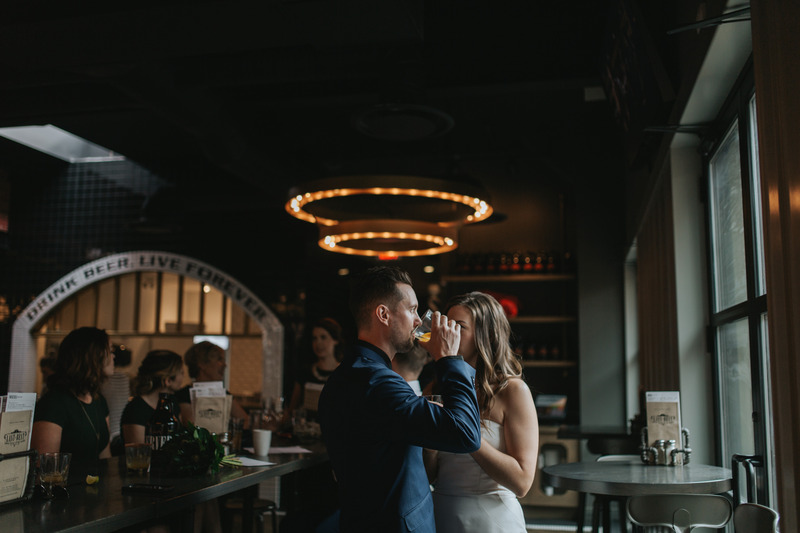 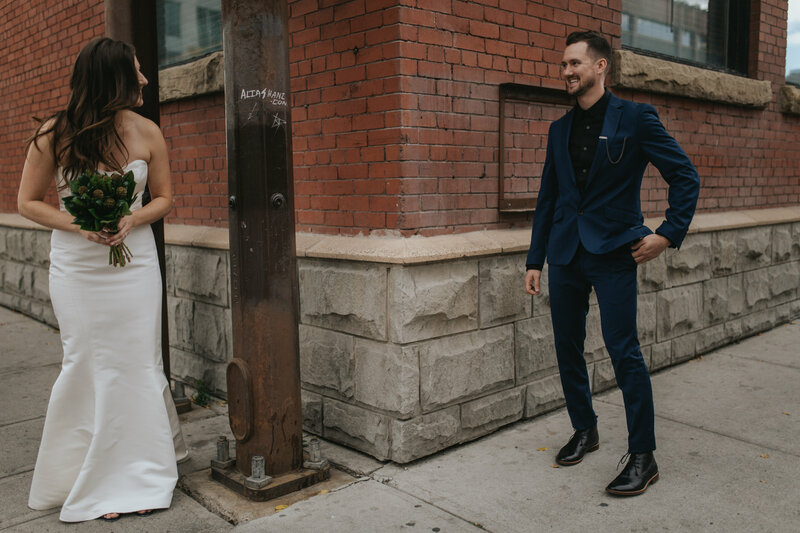 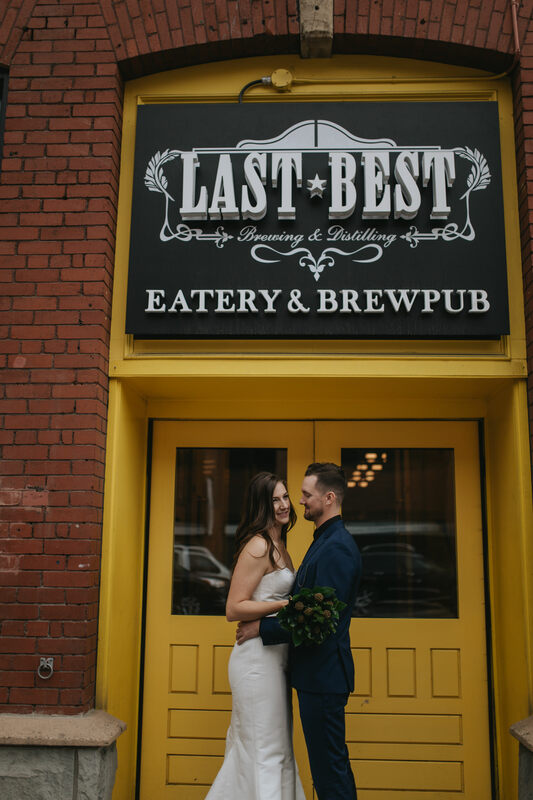 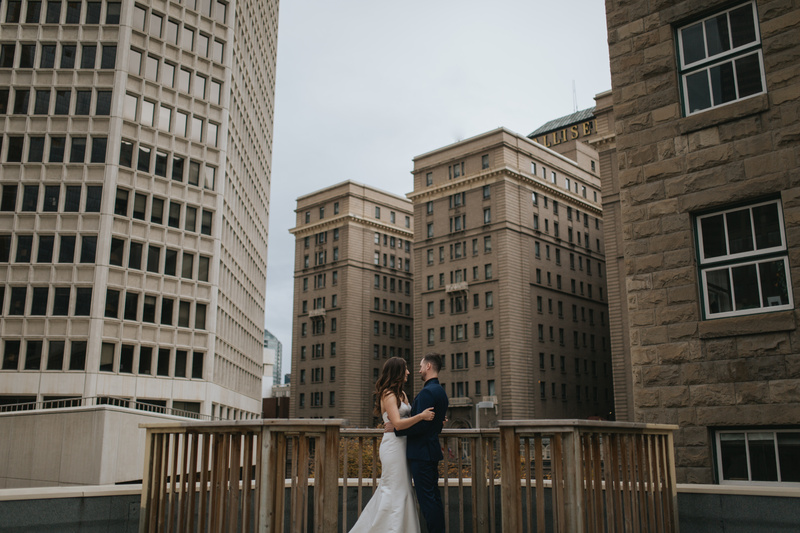 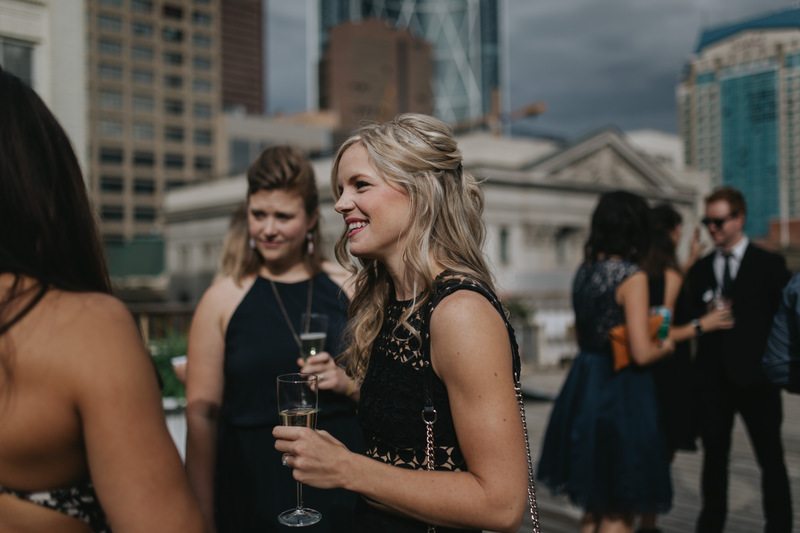 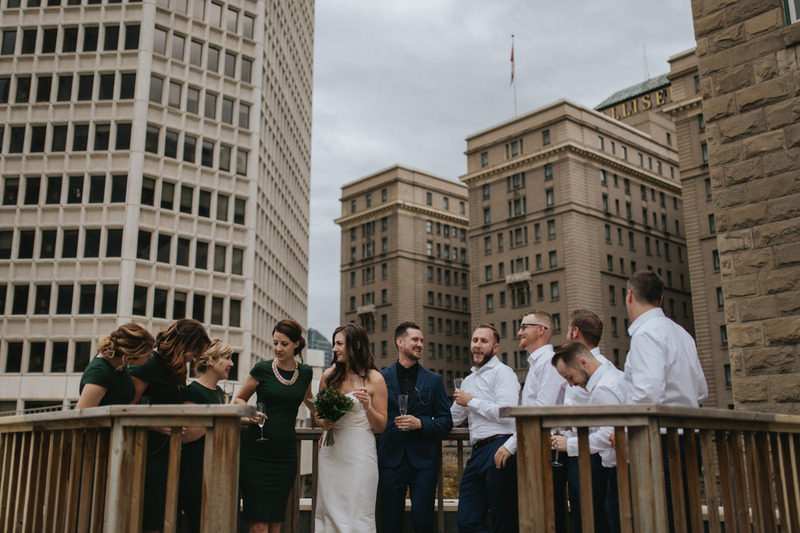 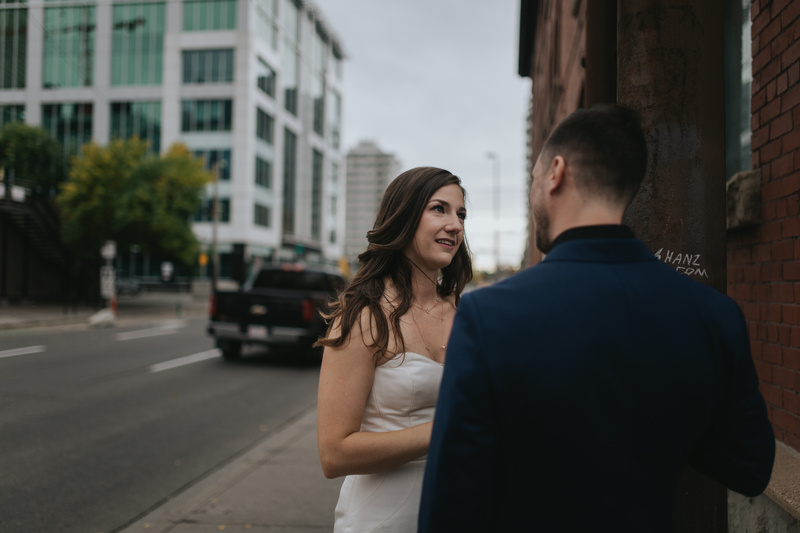 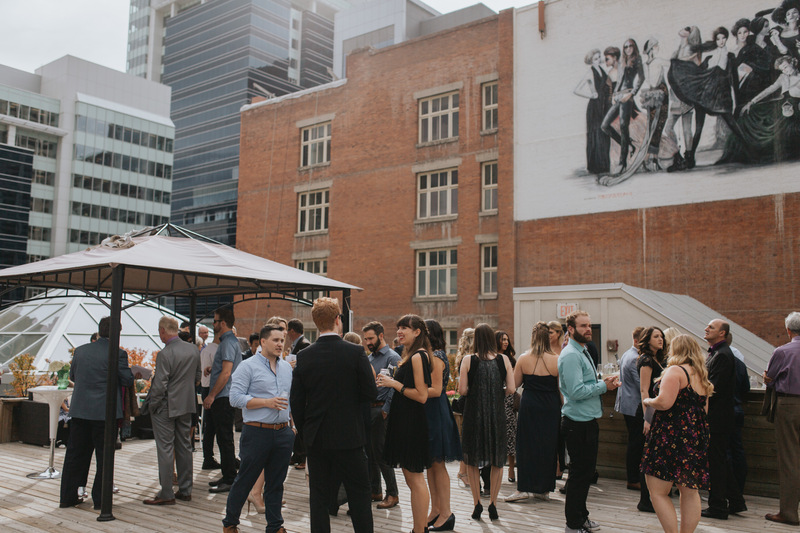 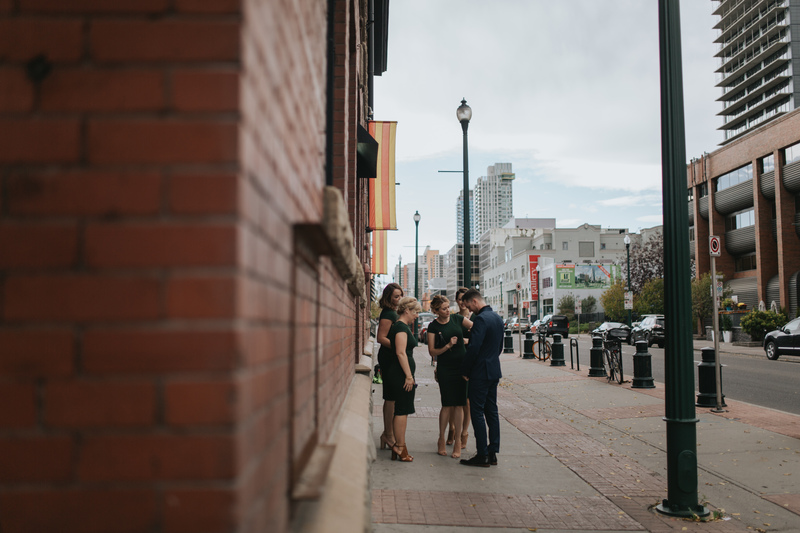 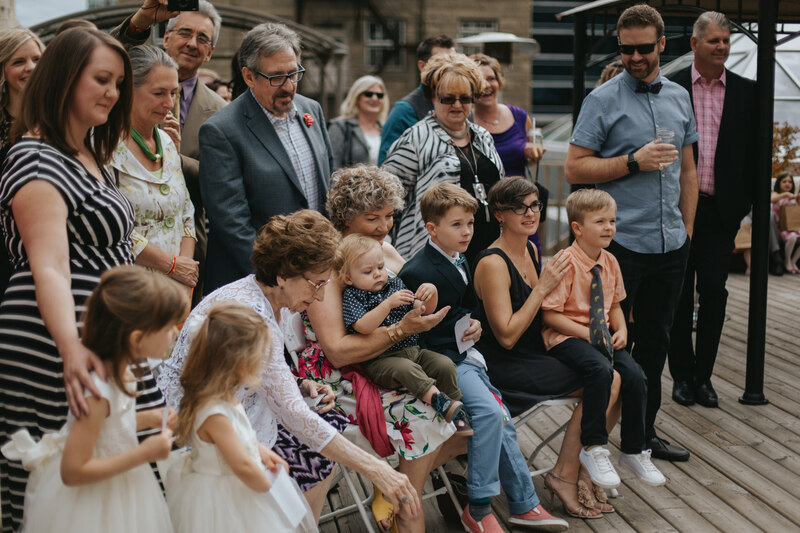 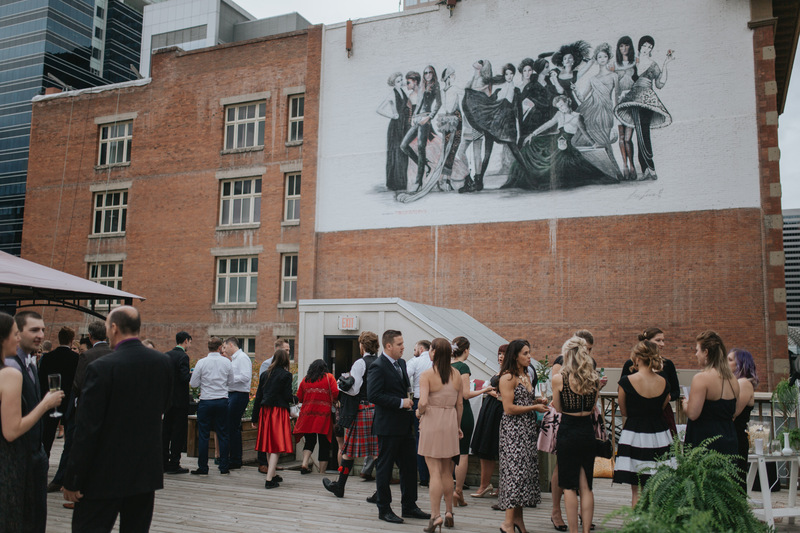 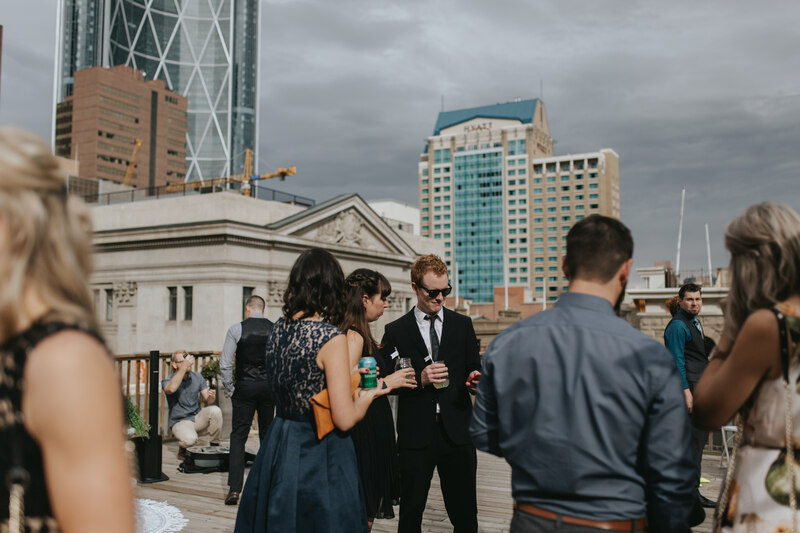 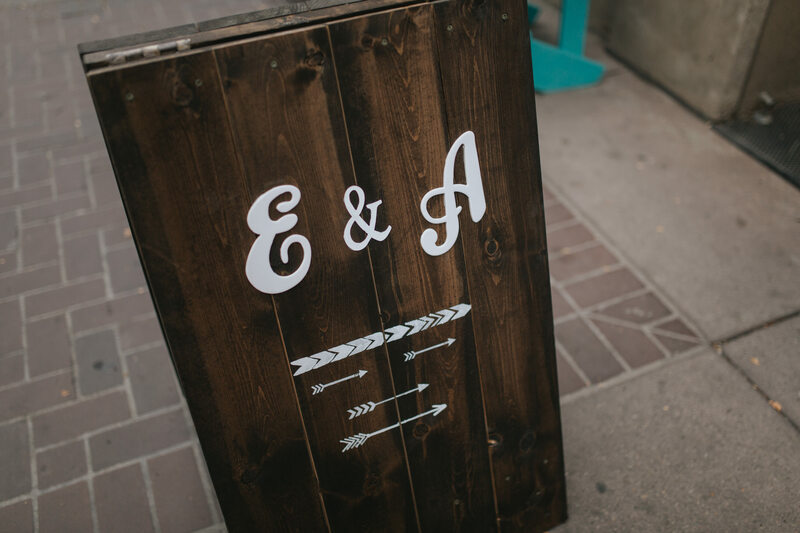 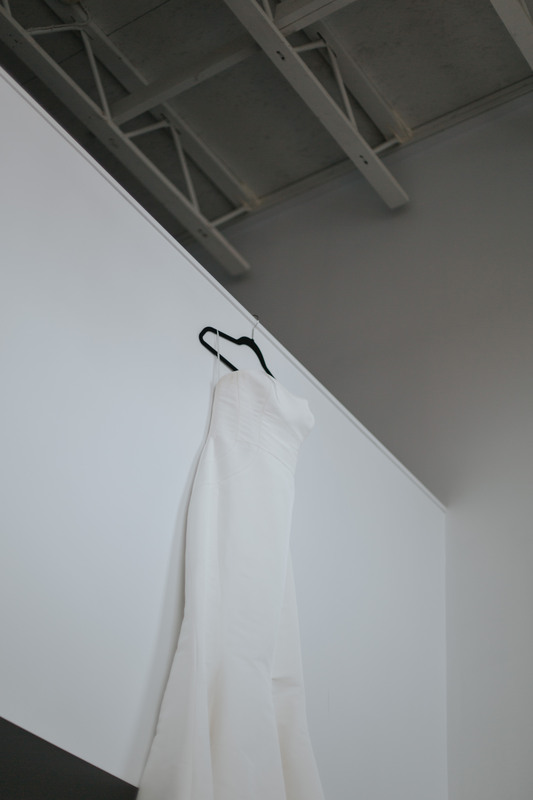 This urban wedding was a labour of love from Emily and Adam. 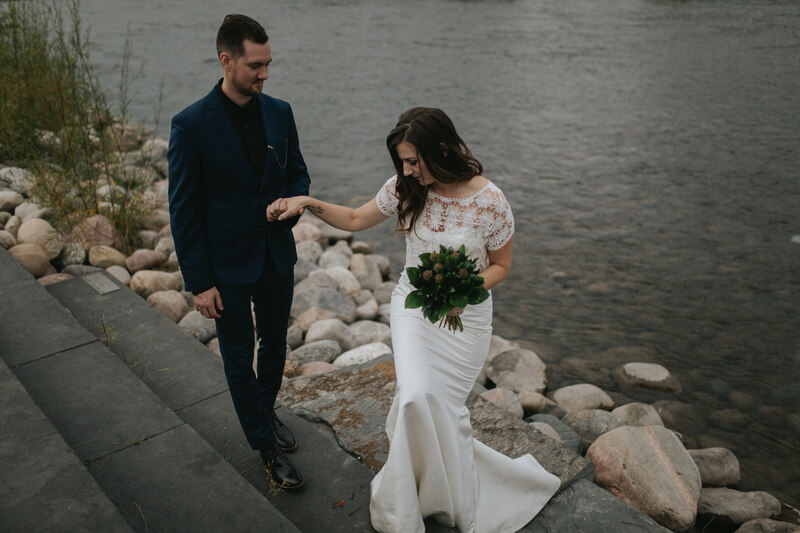 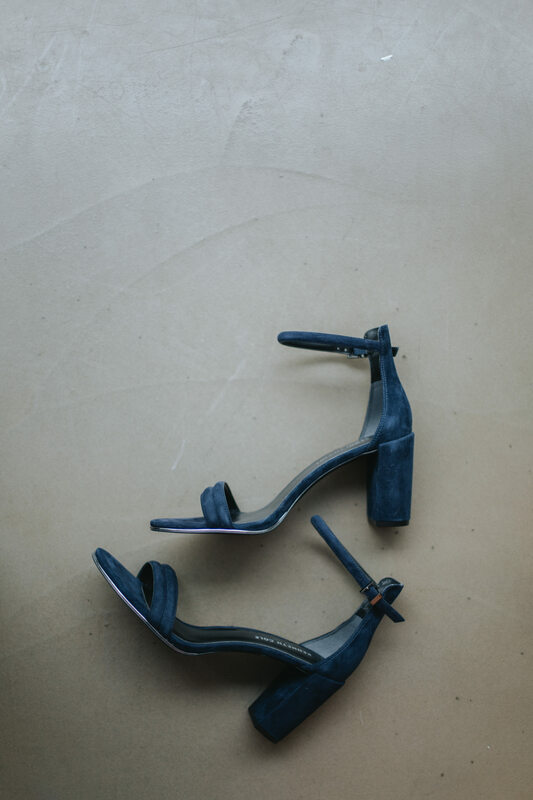 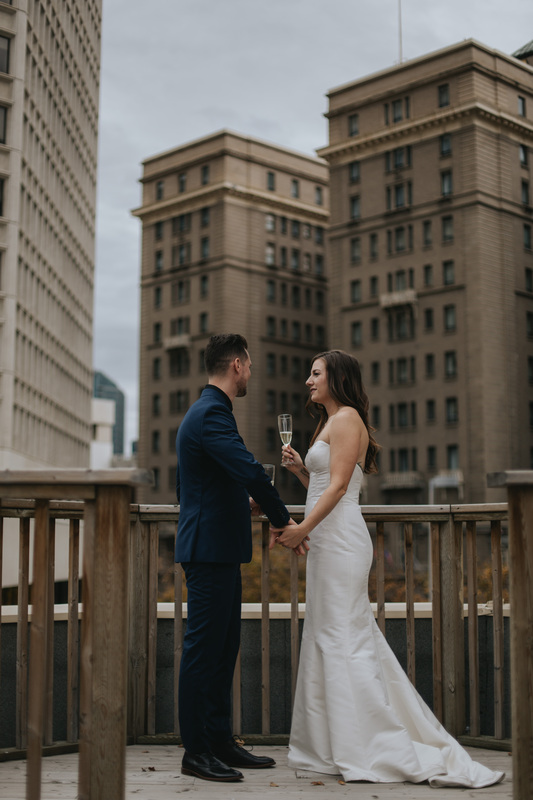 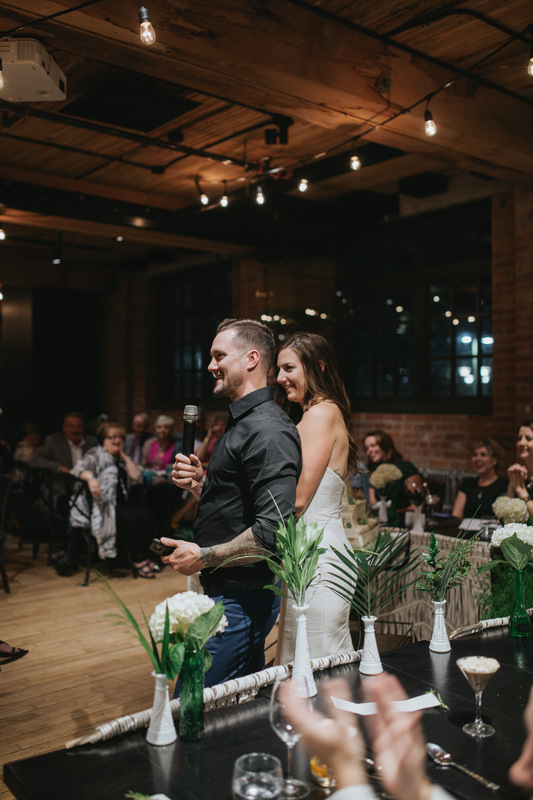 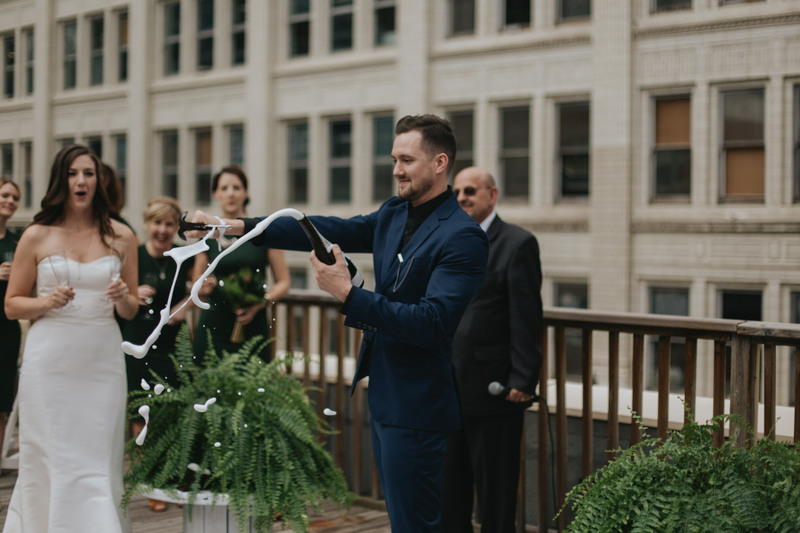 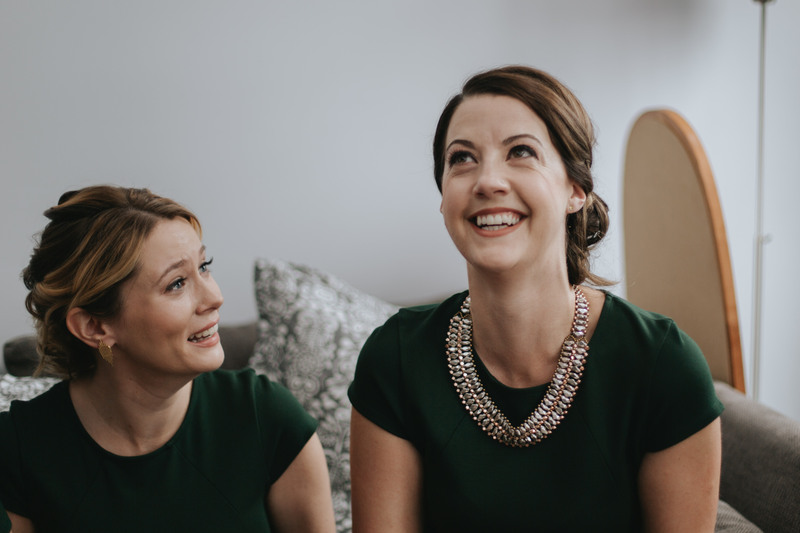 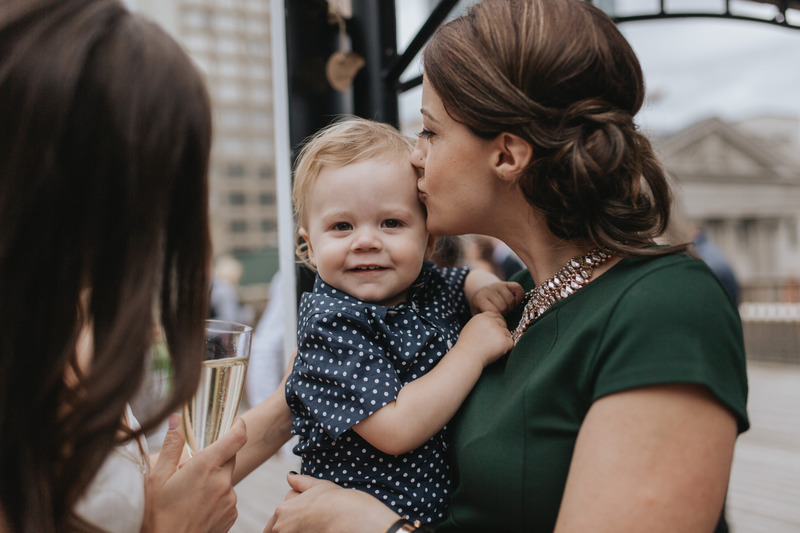 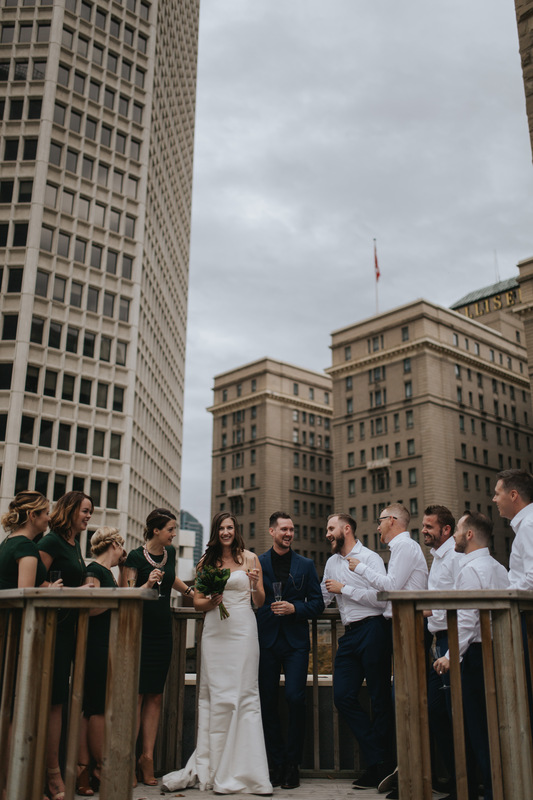 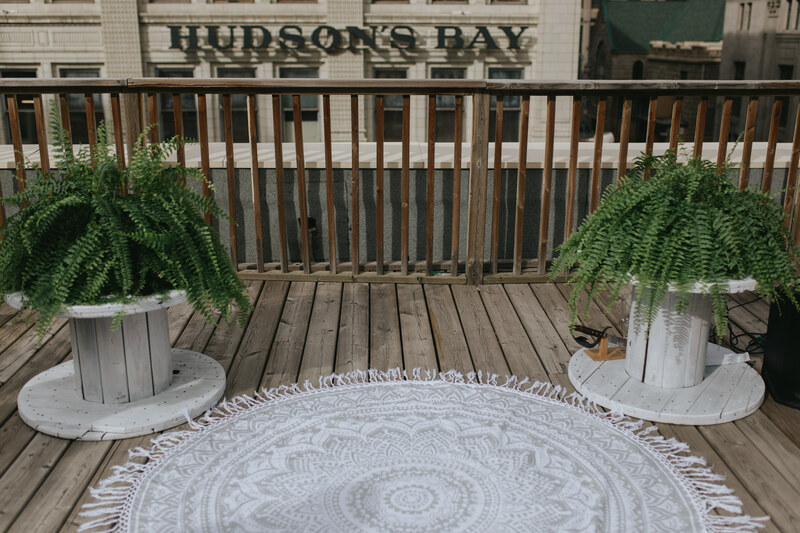 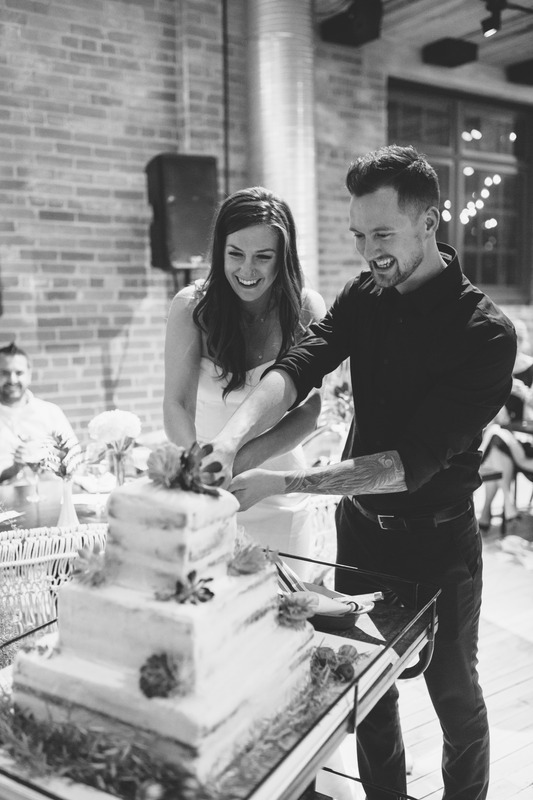 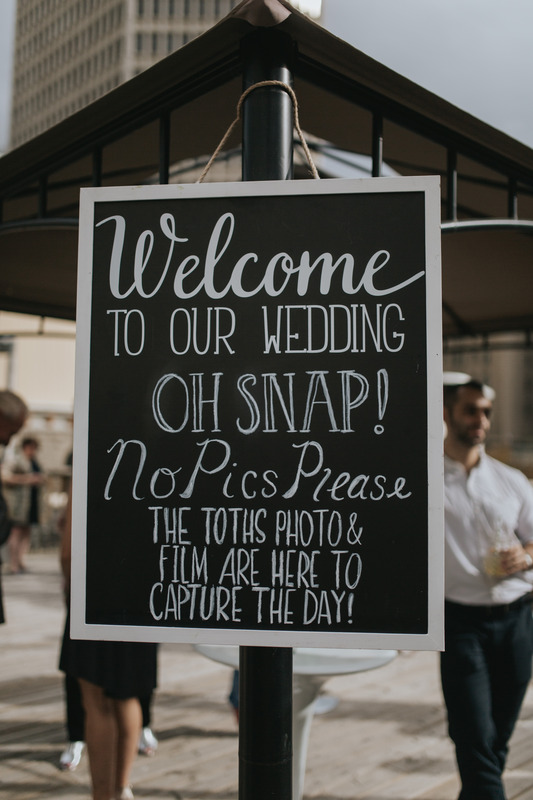 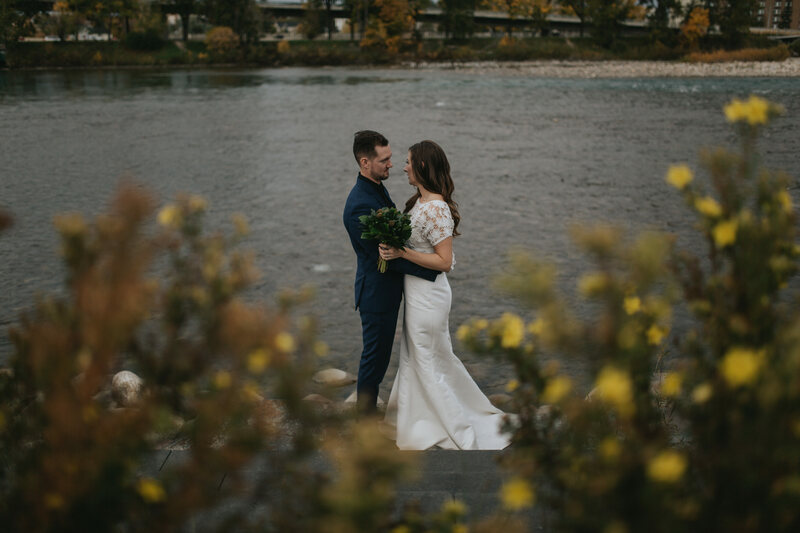 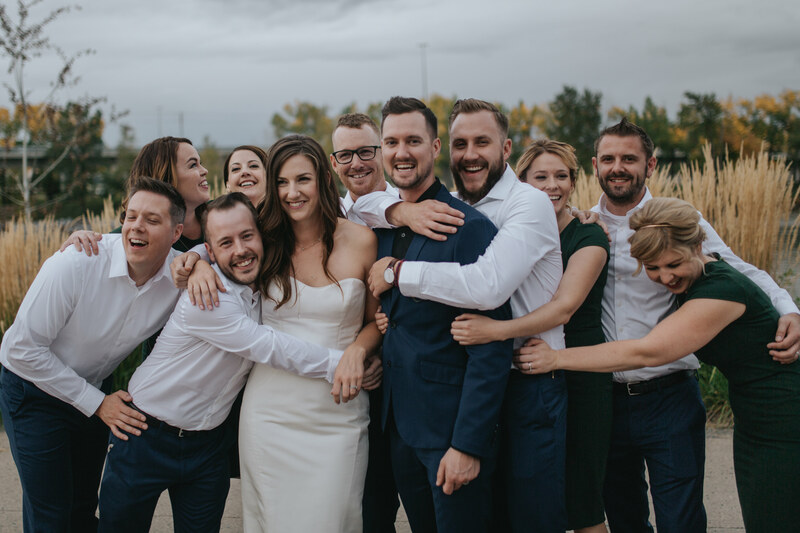 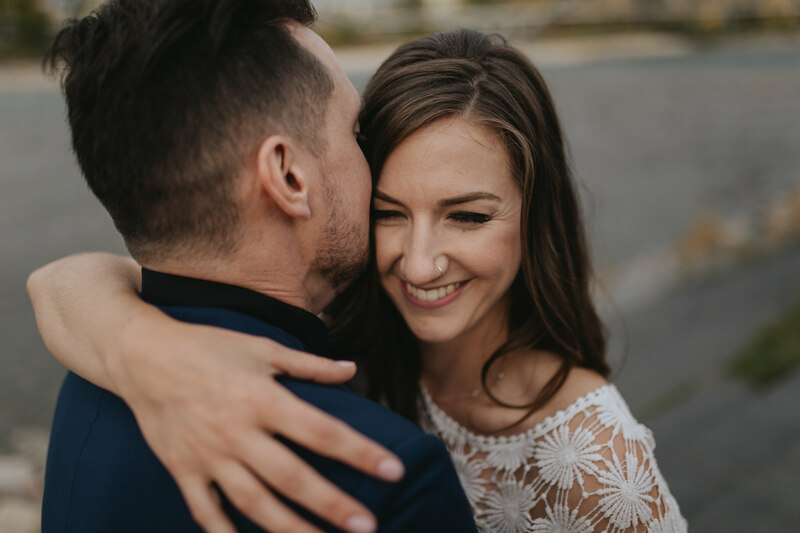 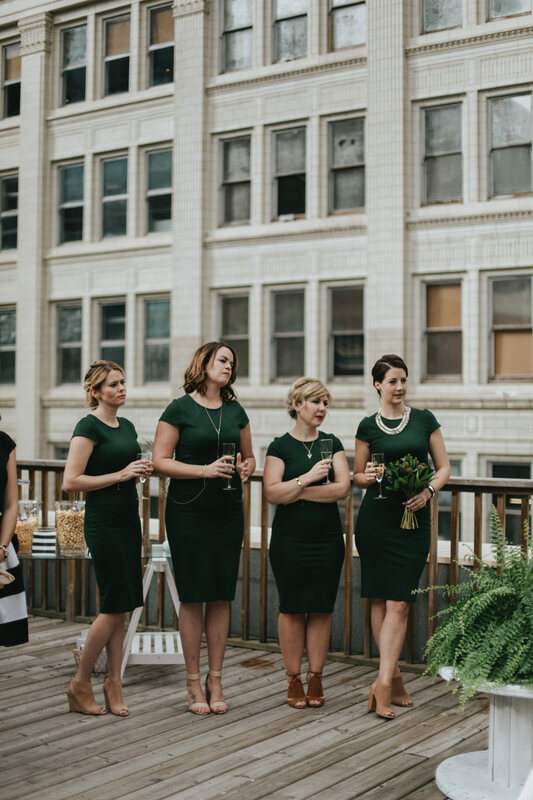 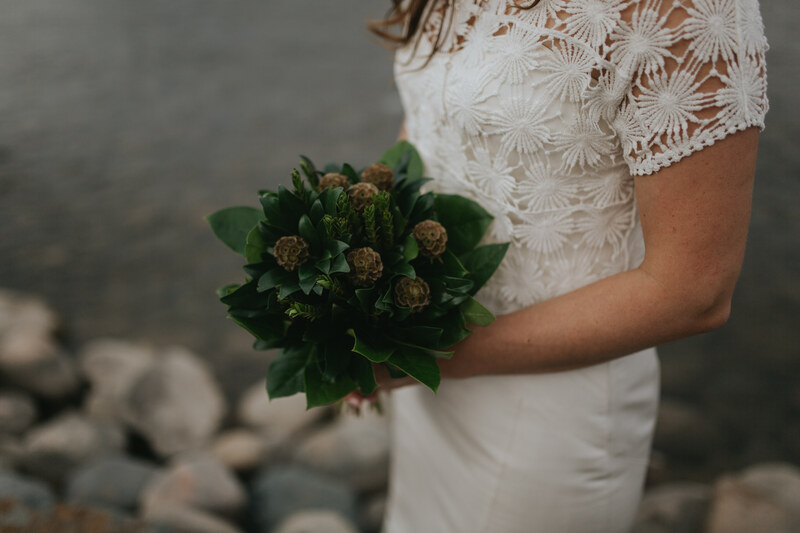 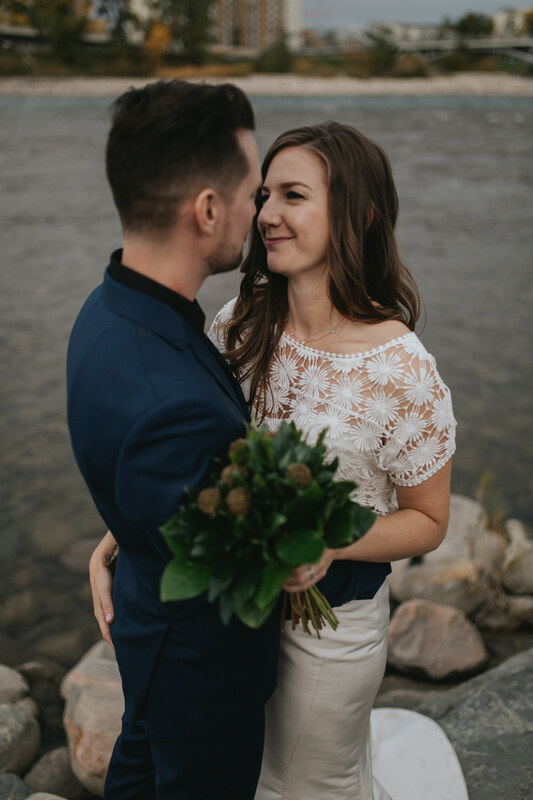 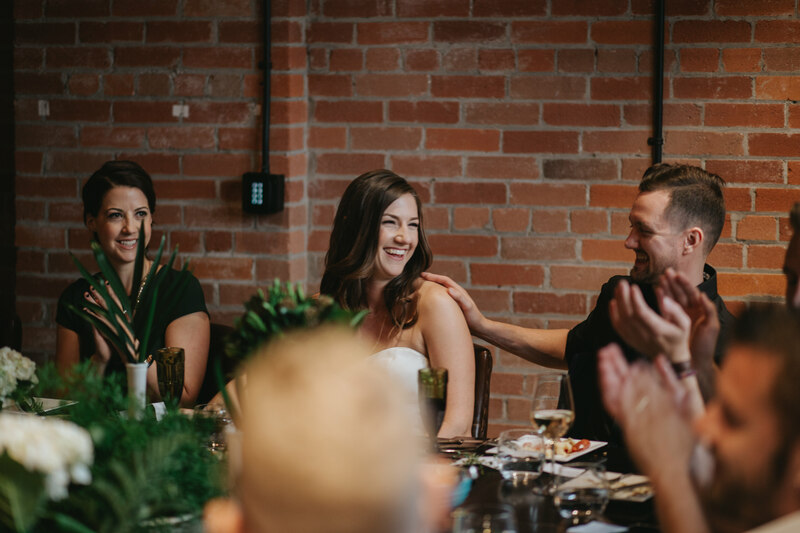 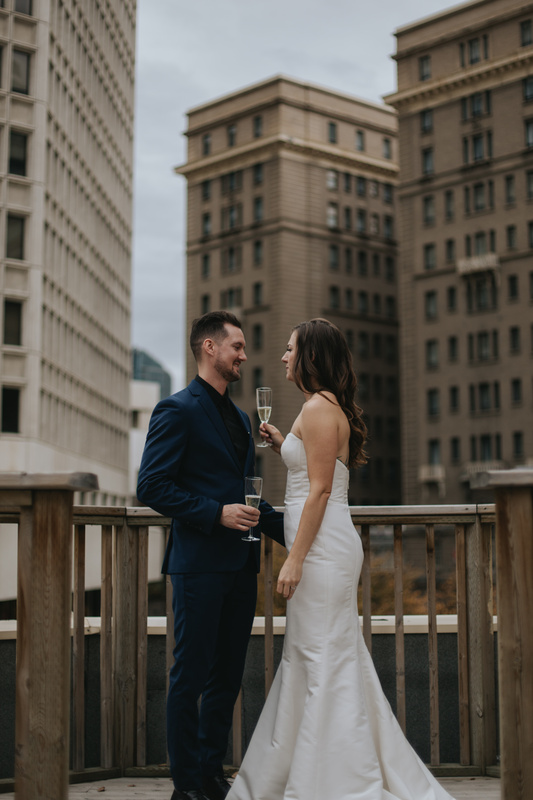 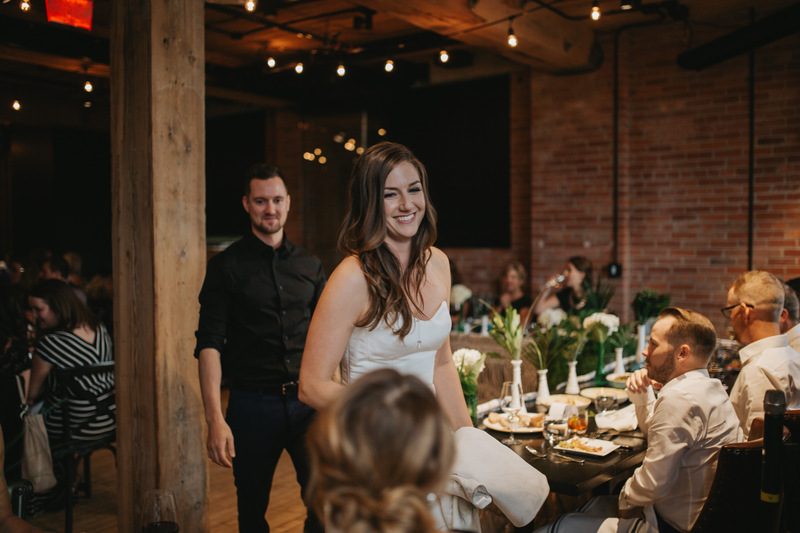 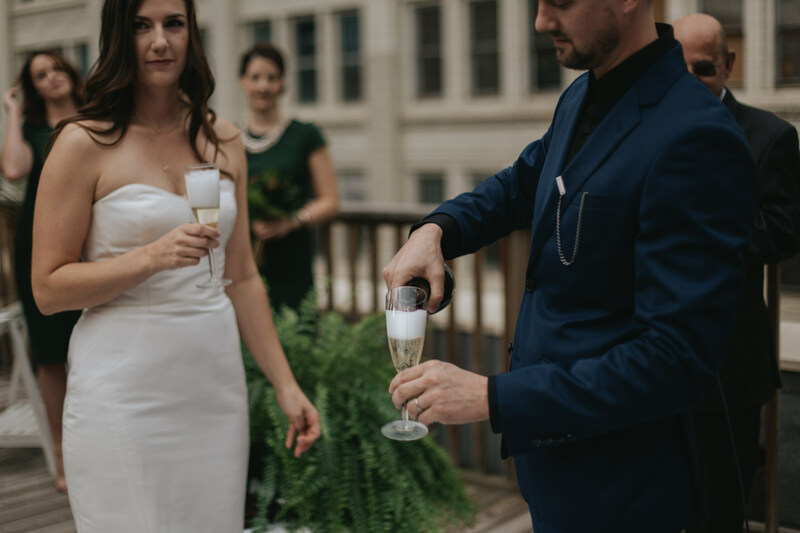 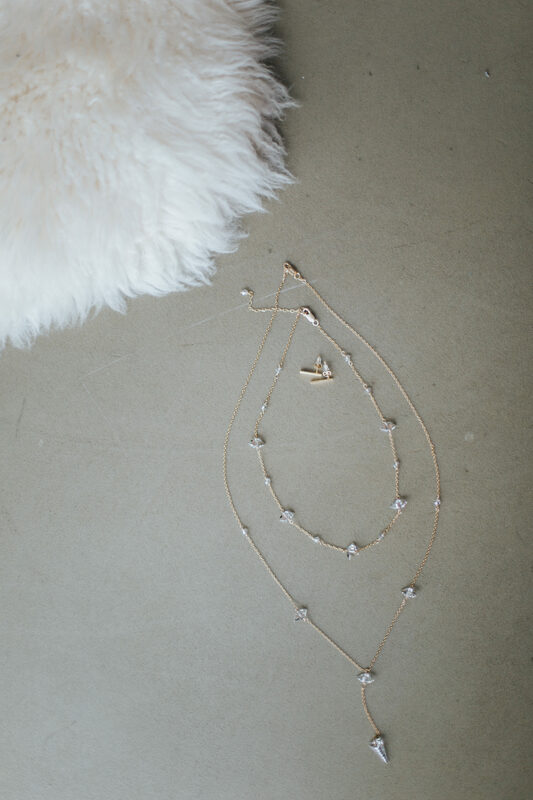 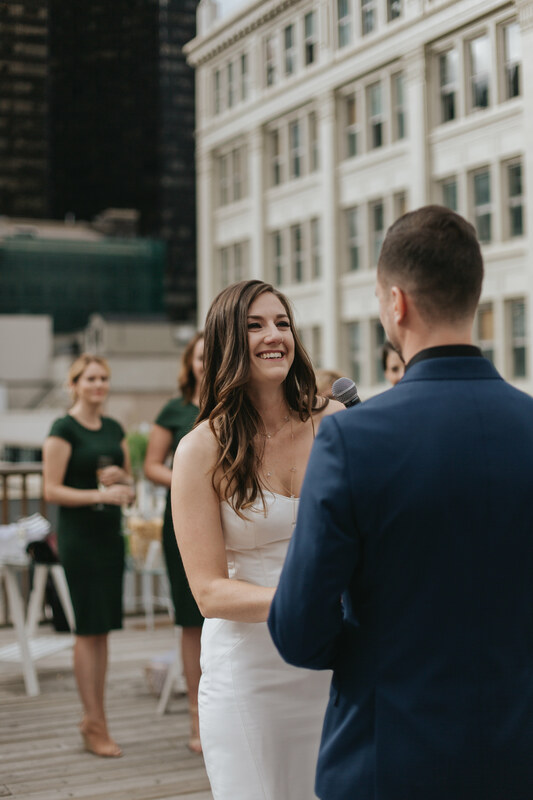 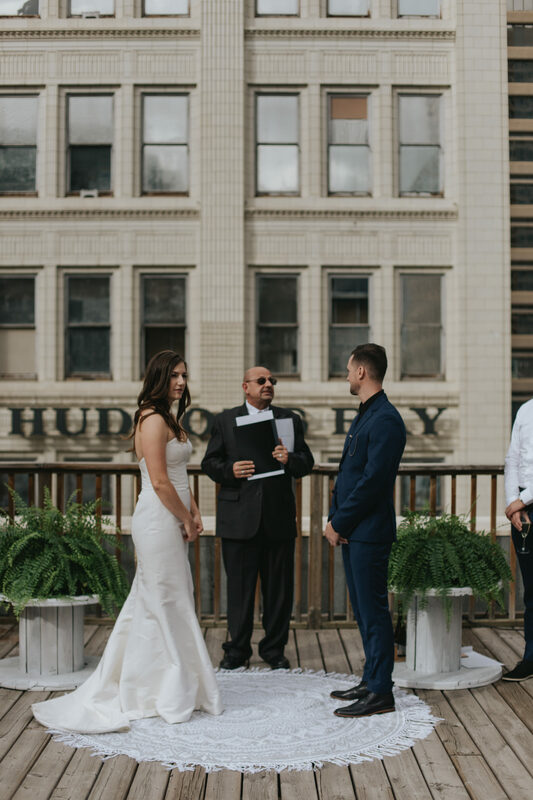 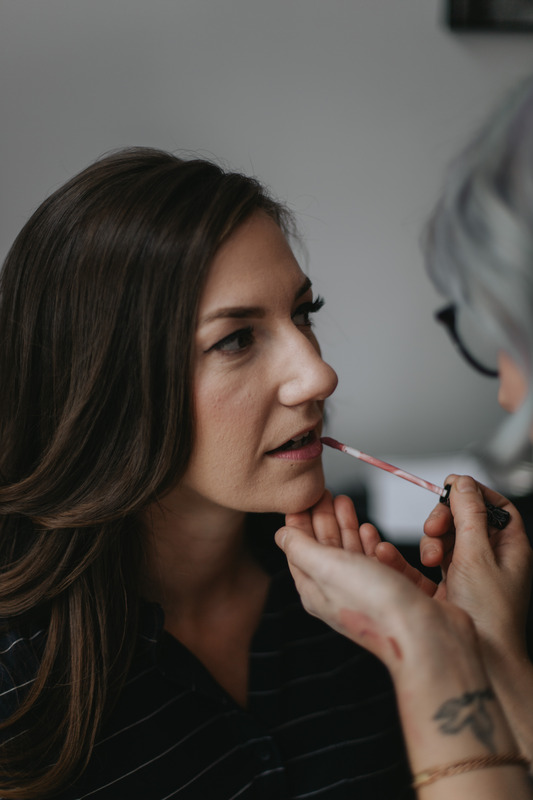 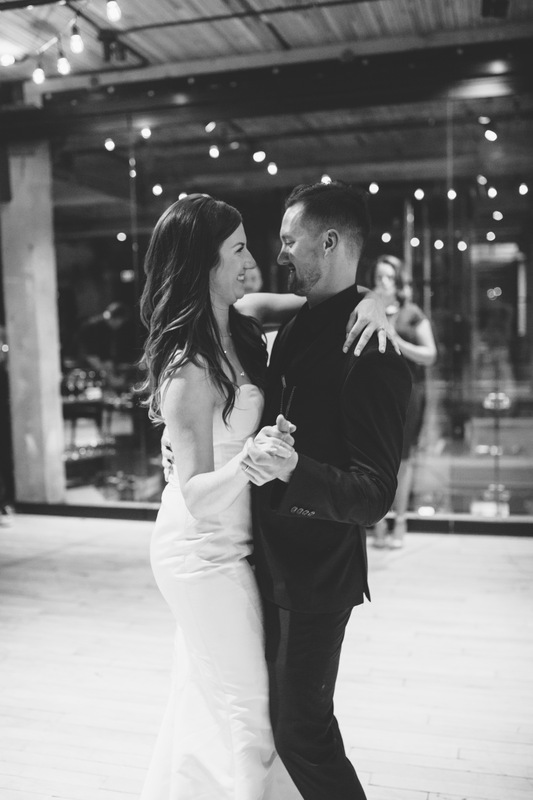 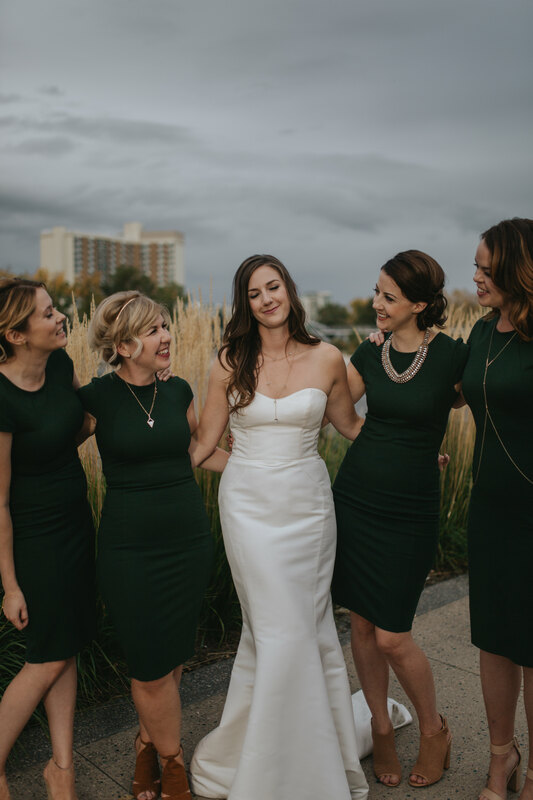 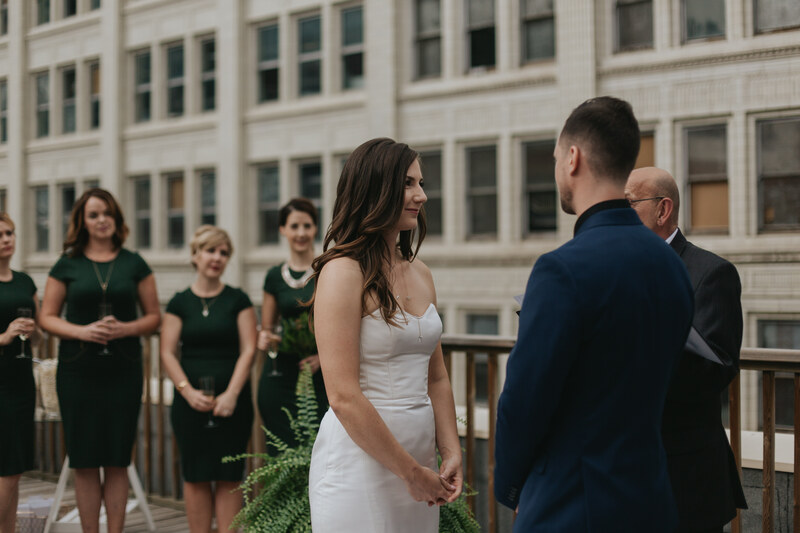 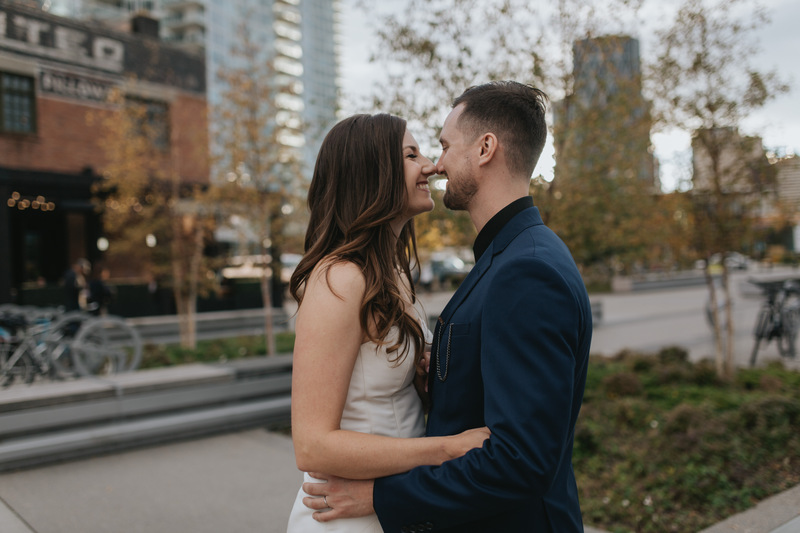 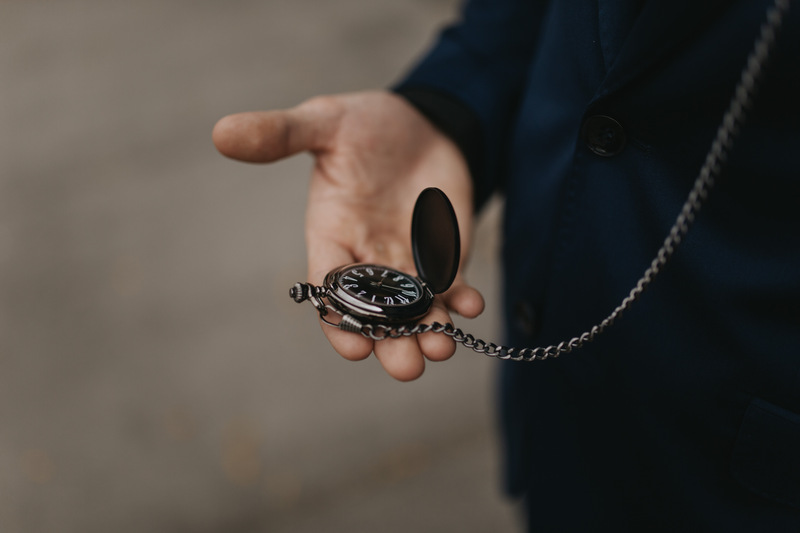 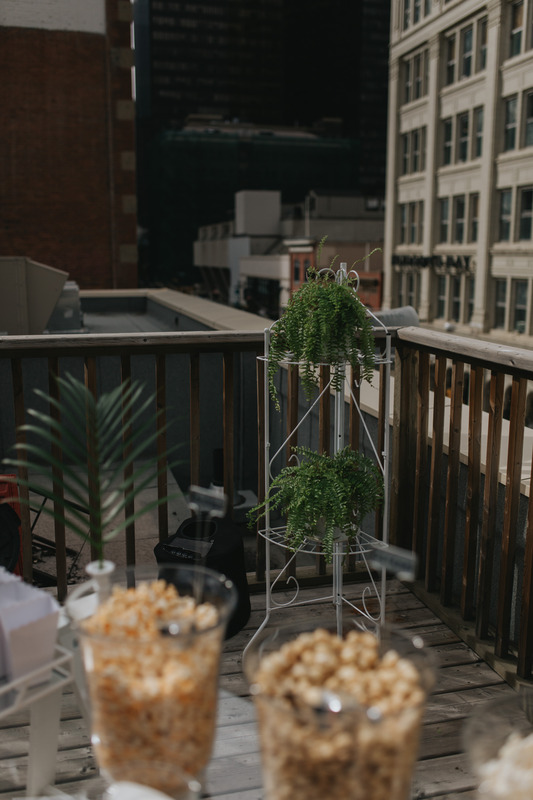 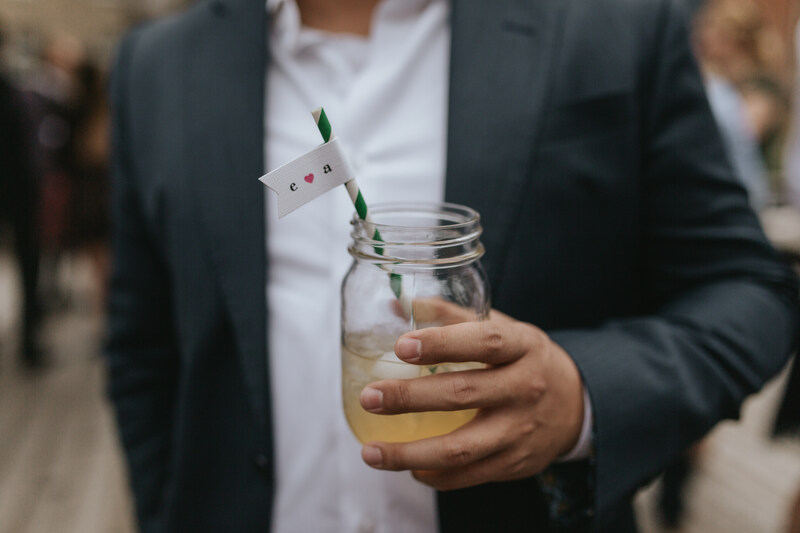 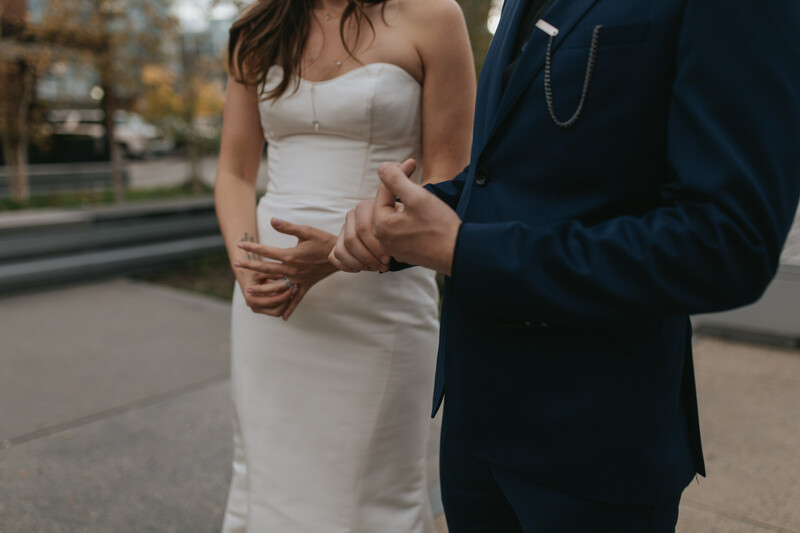 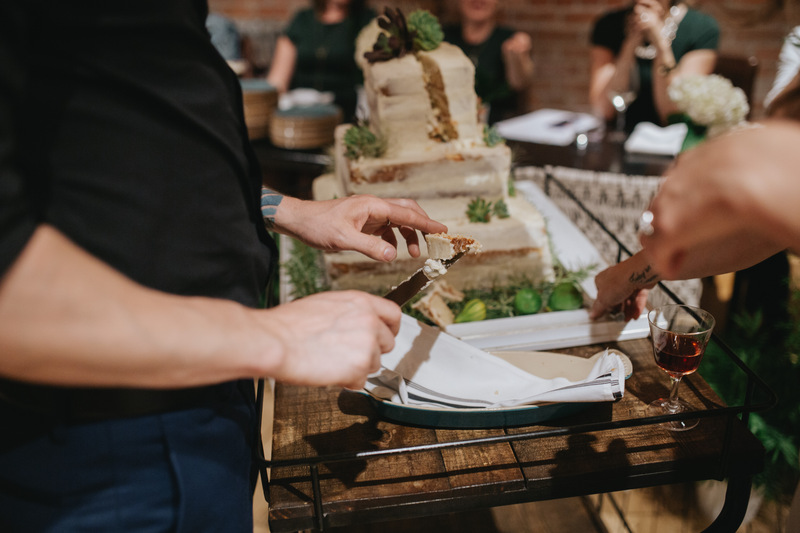 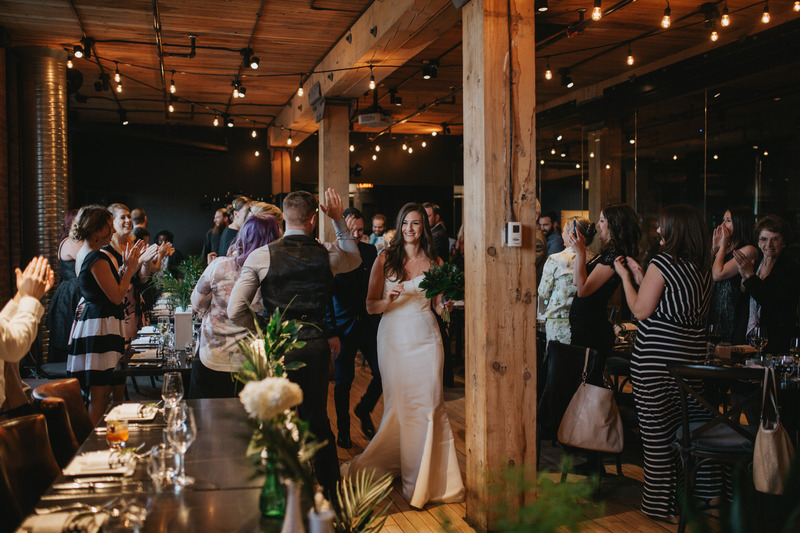 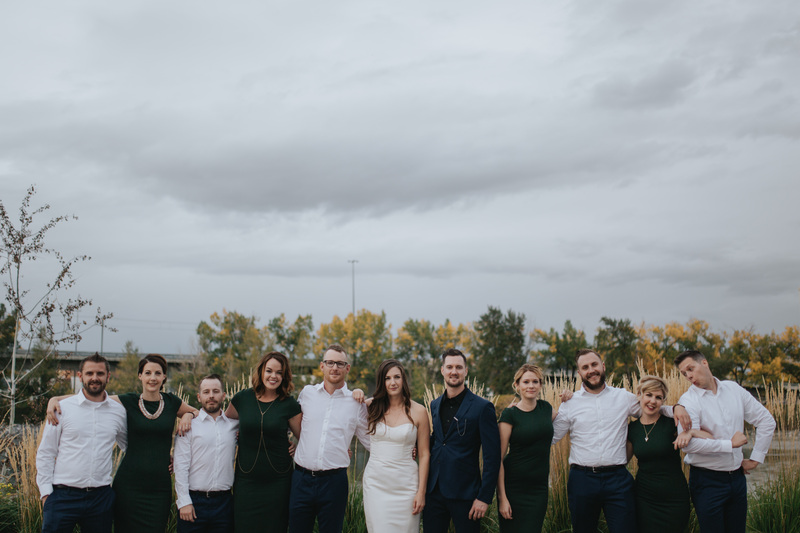 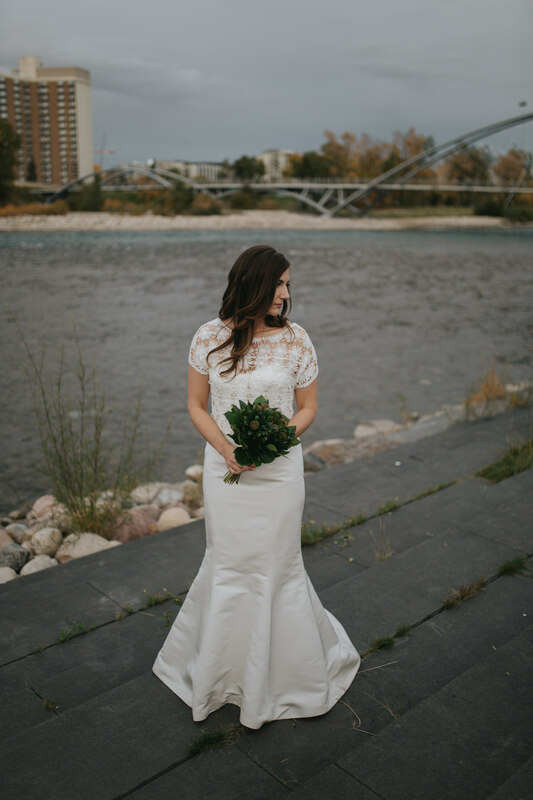 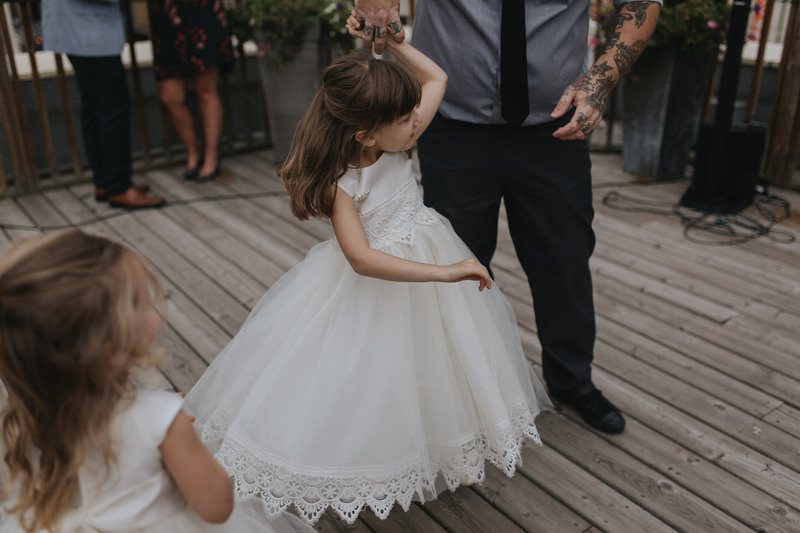 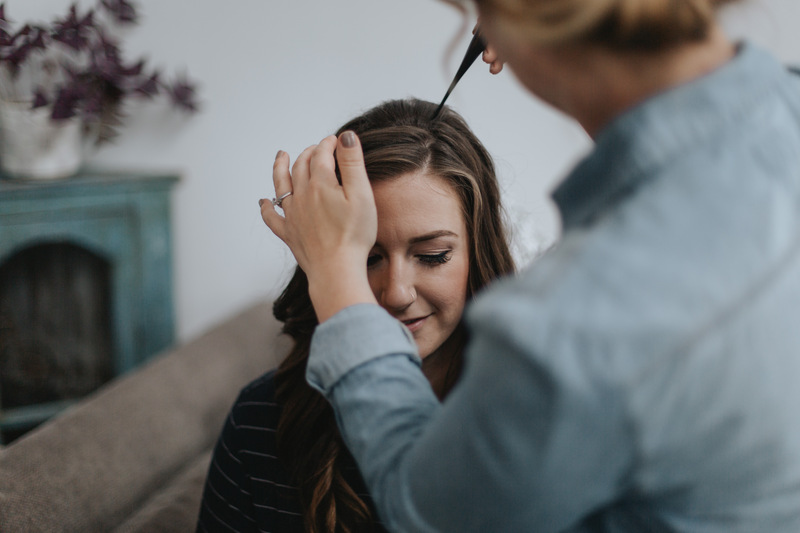 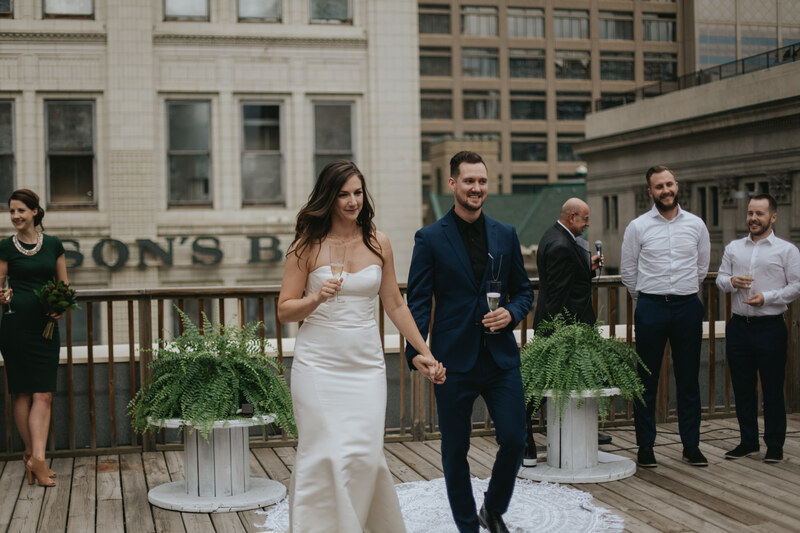 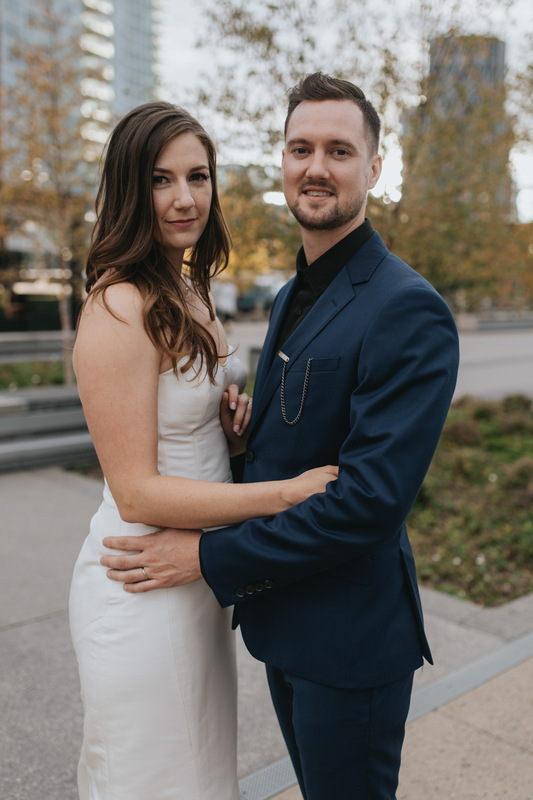 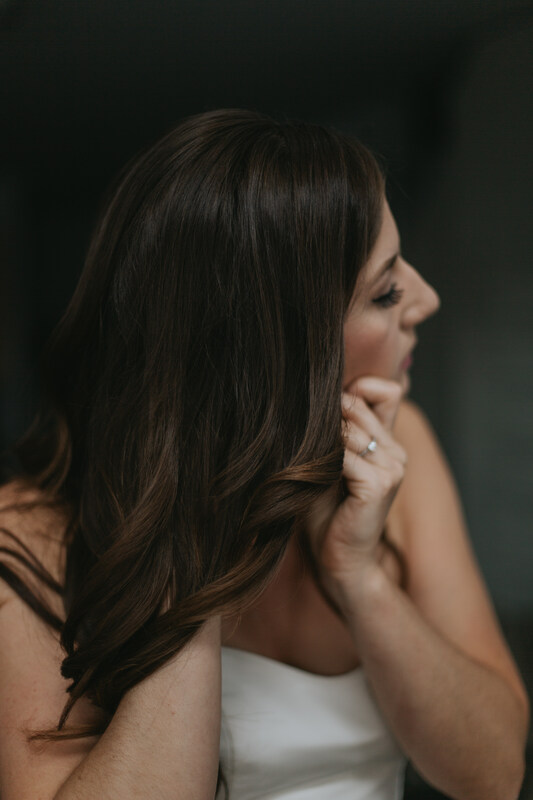 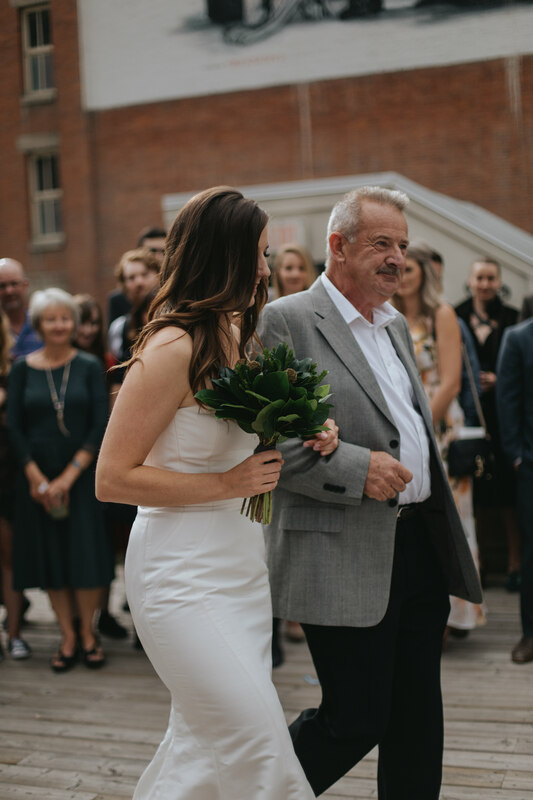 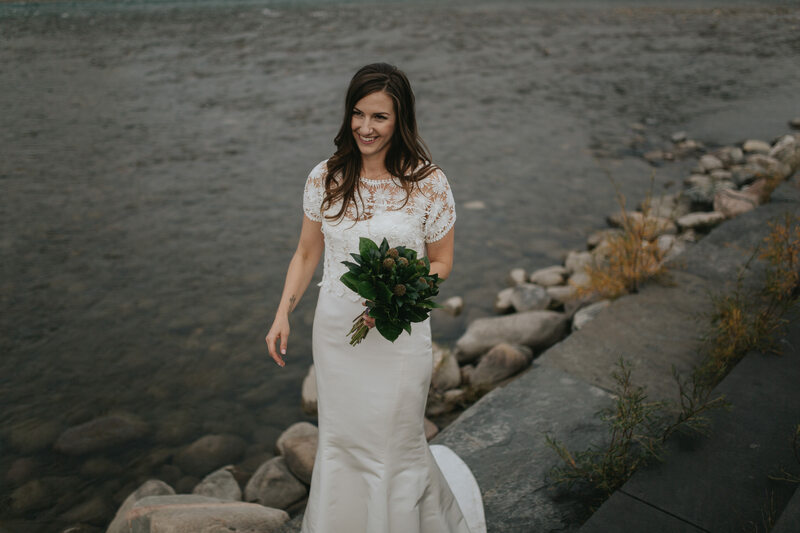 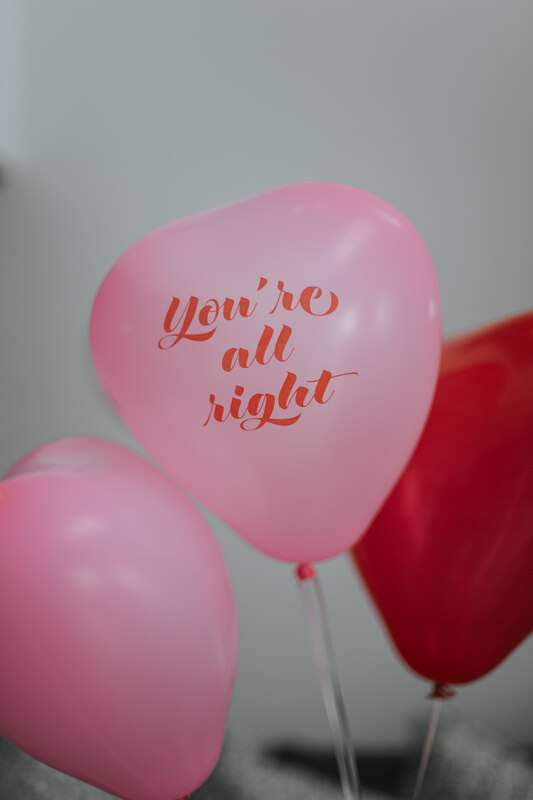 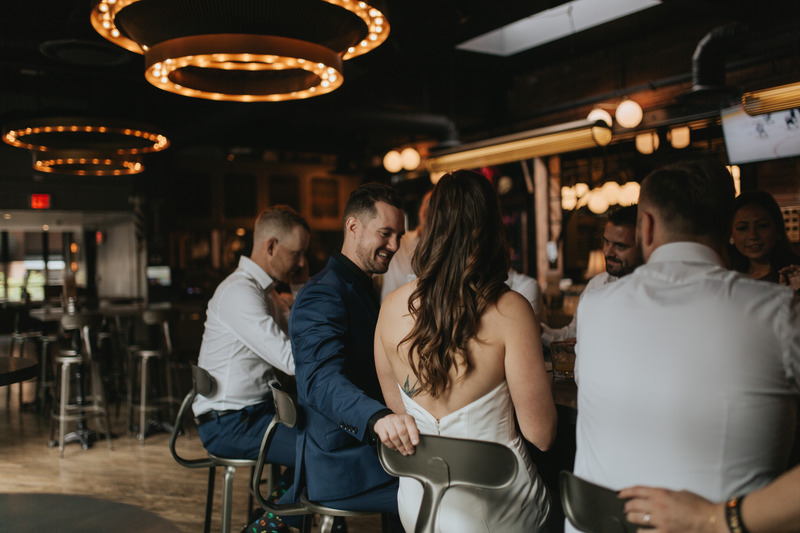 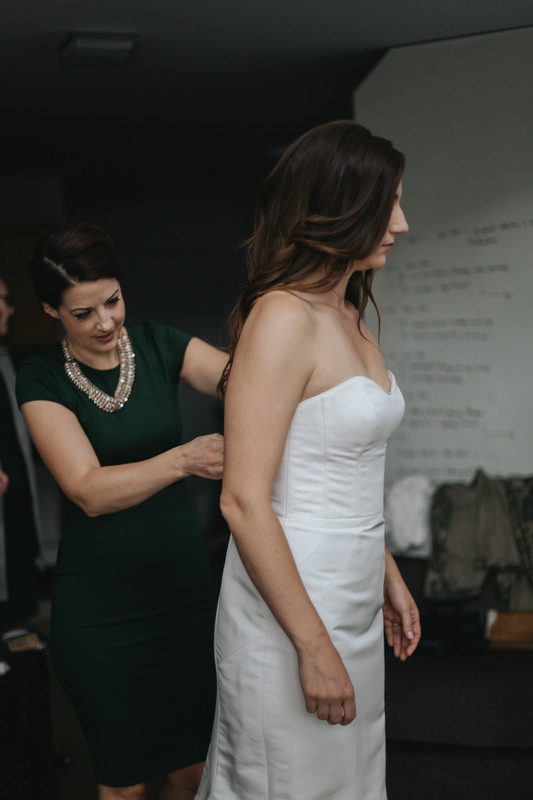 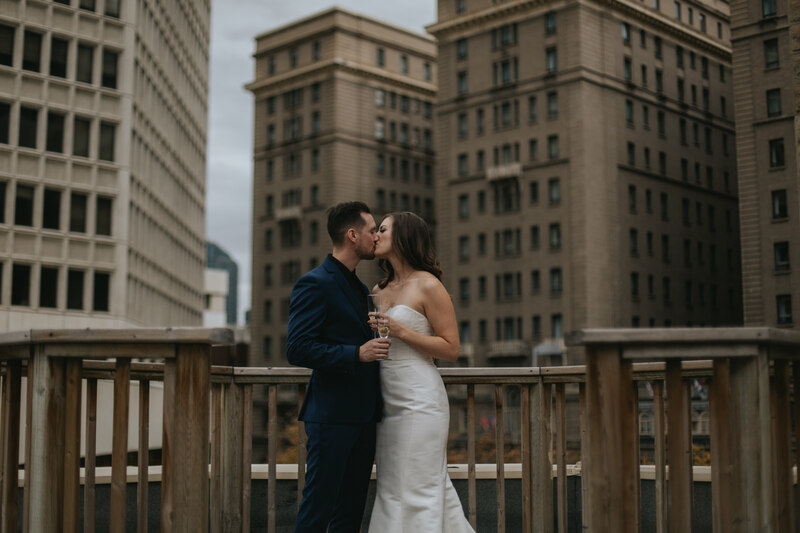 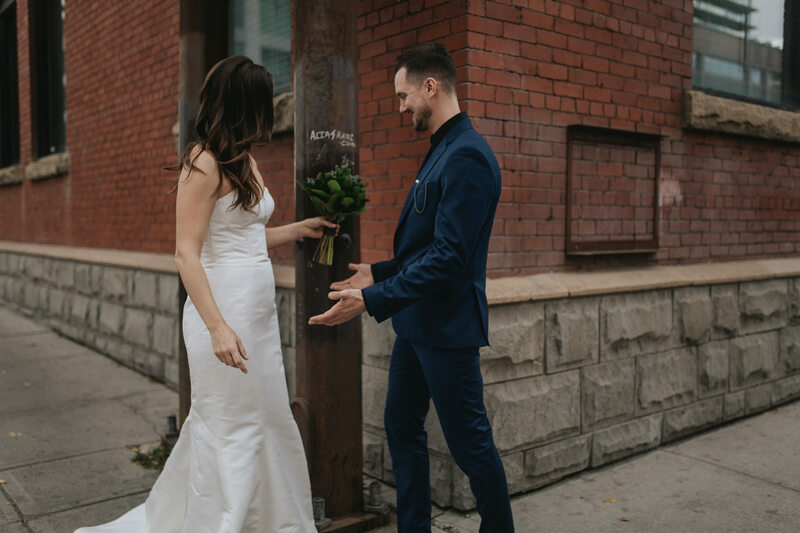 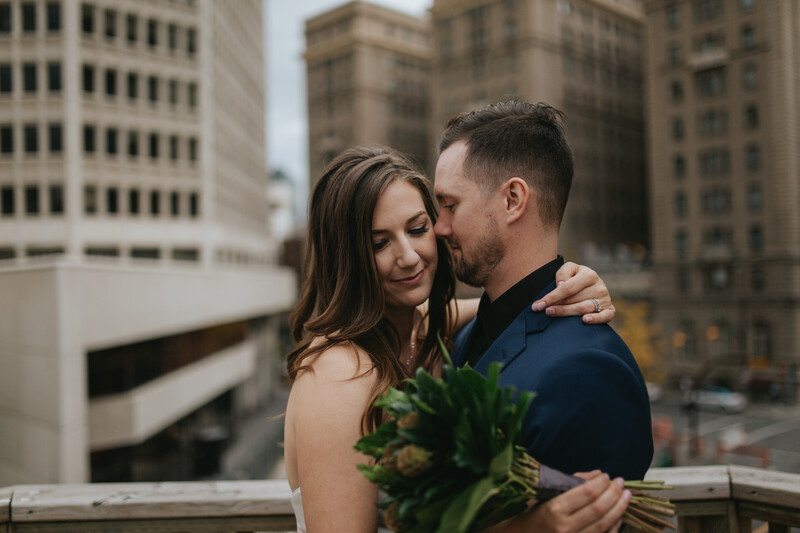 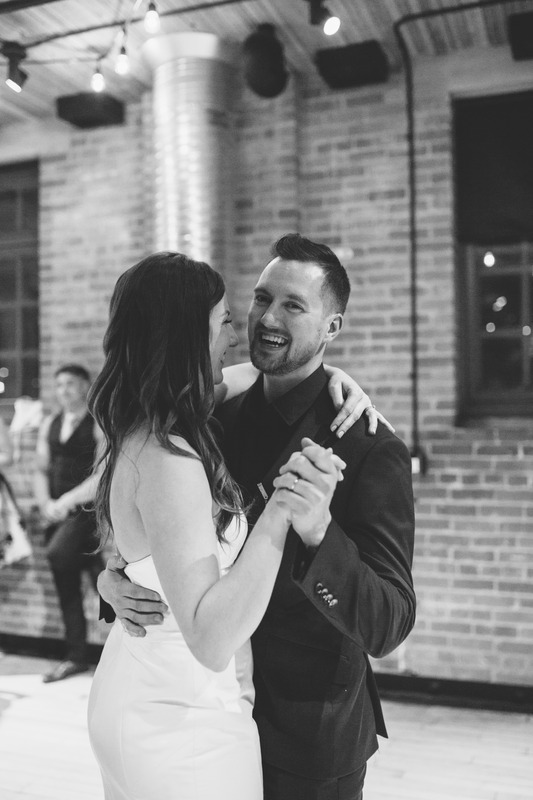 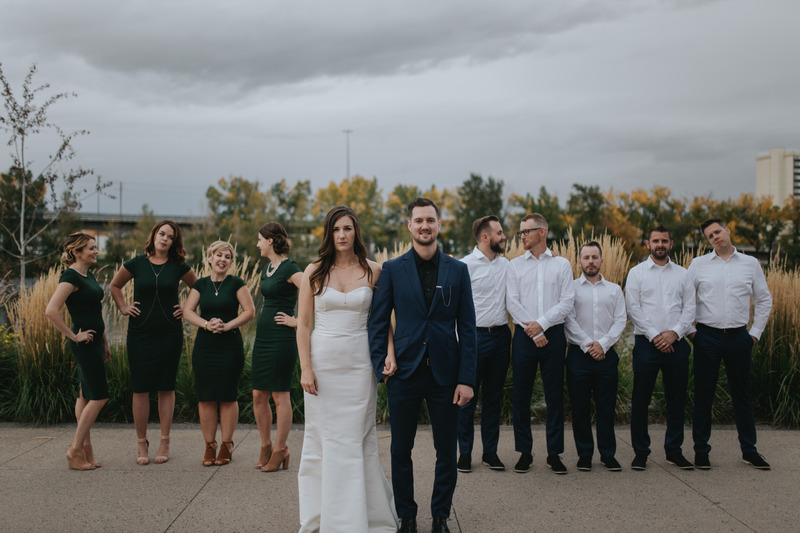 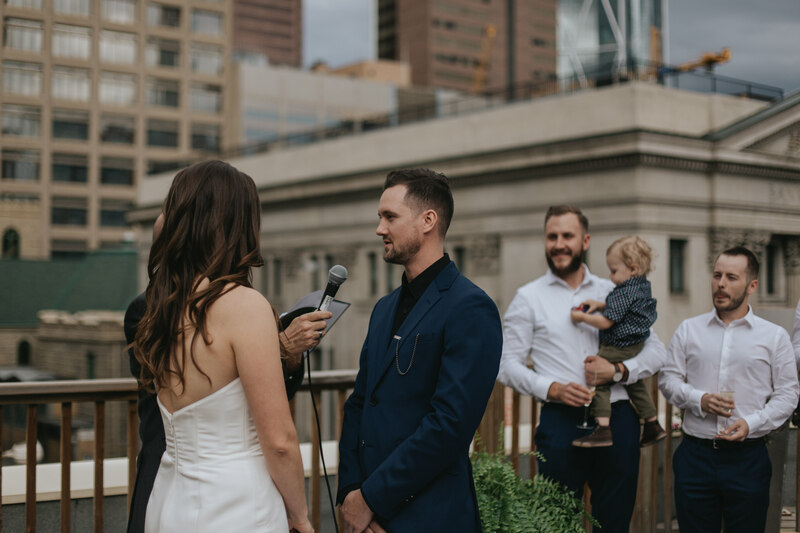 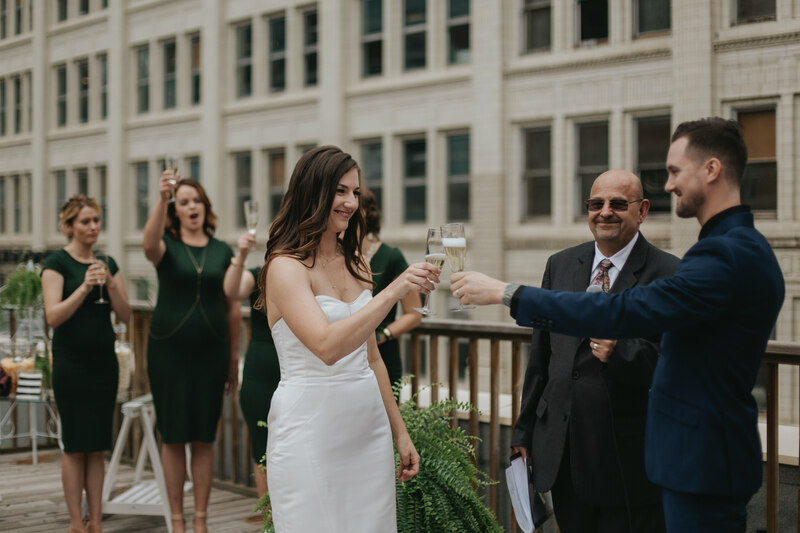 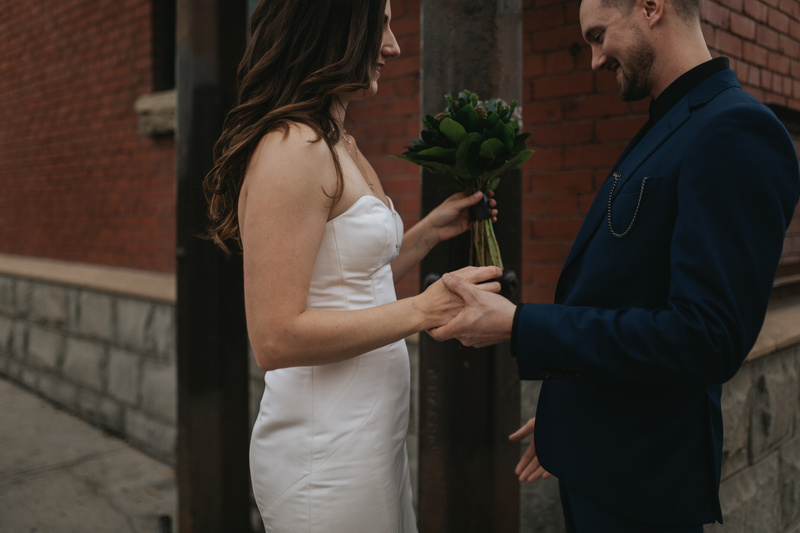 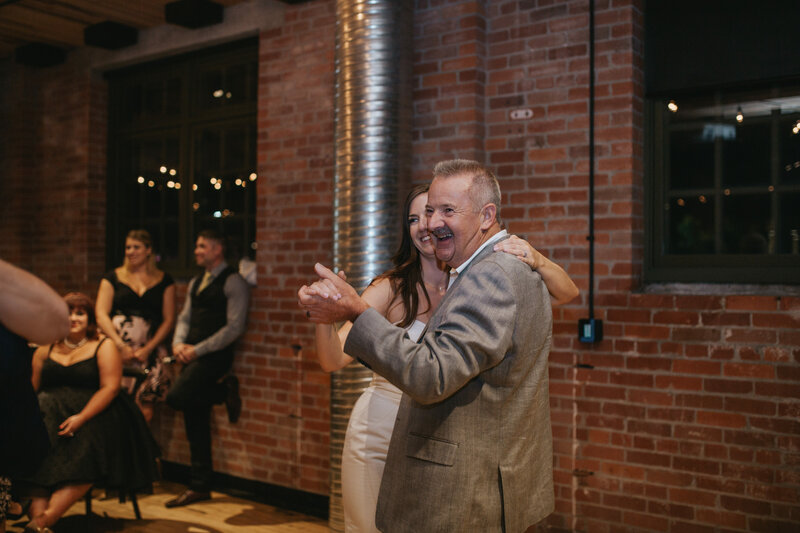 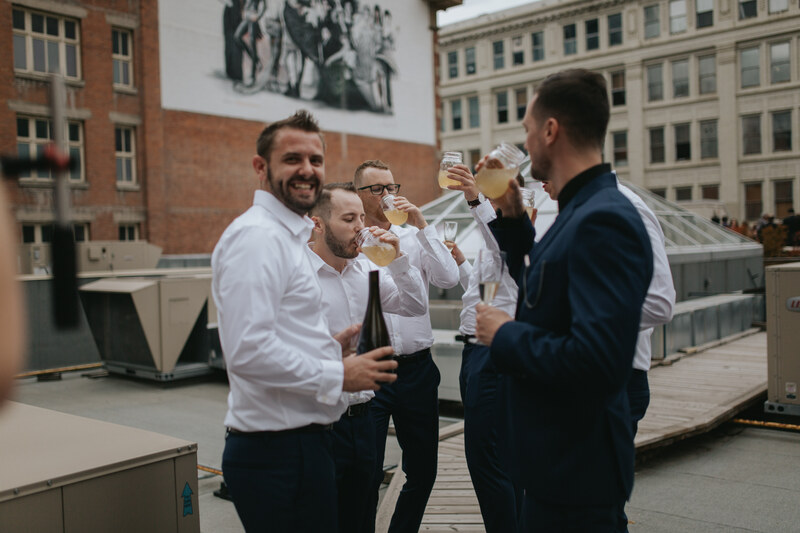 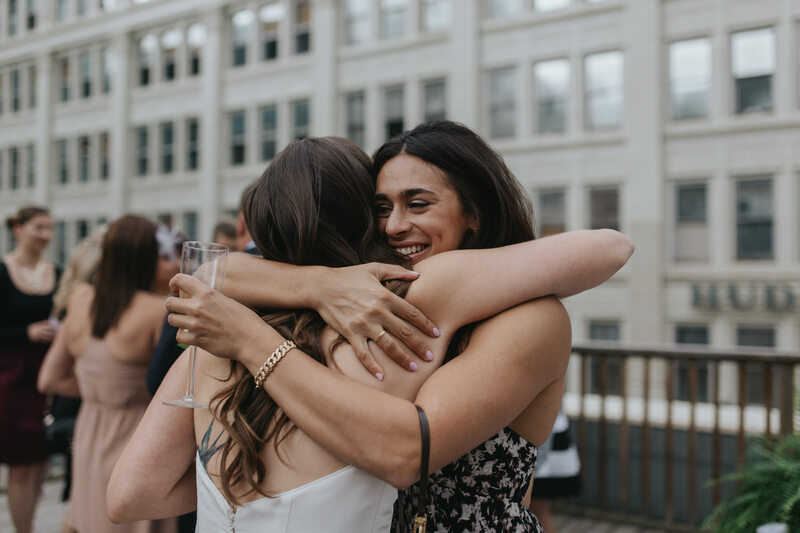 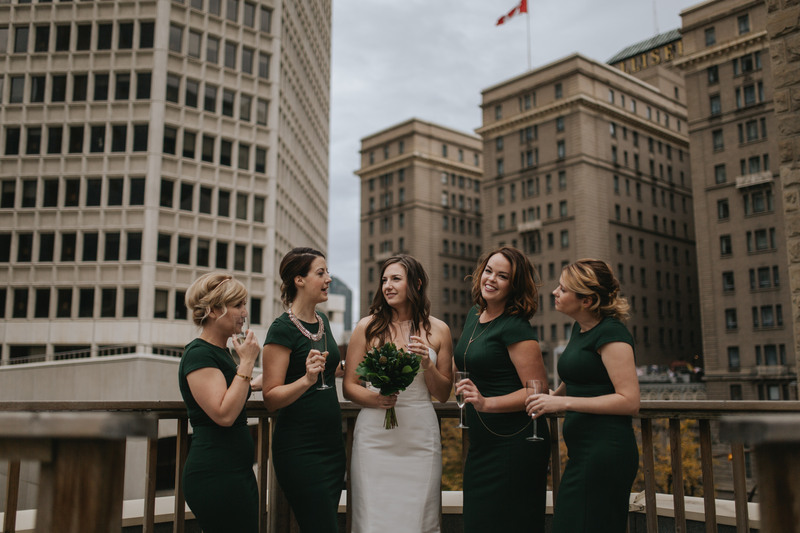 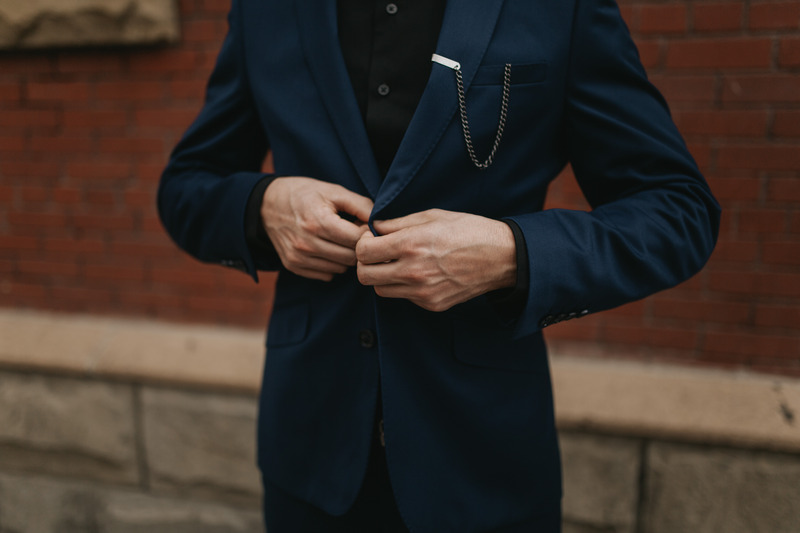 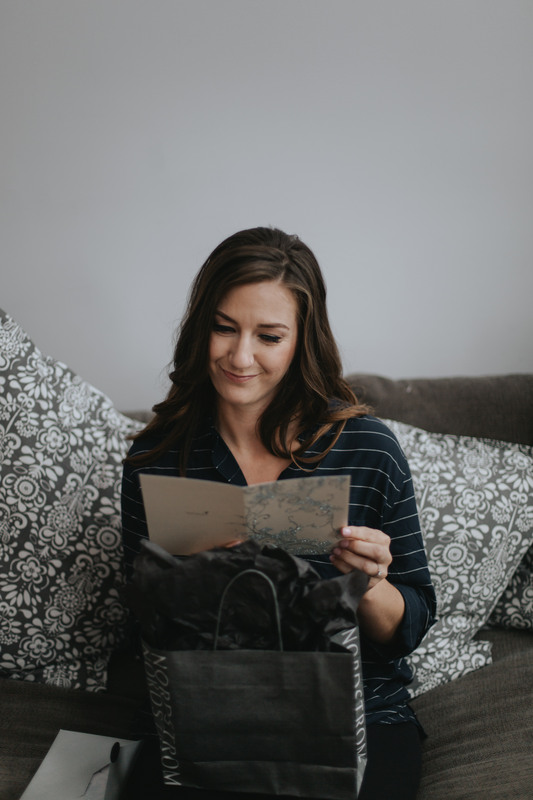 Both were incredibly hands on as they created a day that spoke to who they are and all of the things they love, inspired by and incorporating all things greenery and concrete. 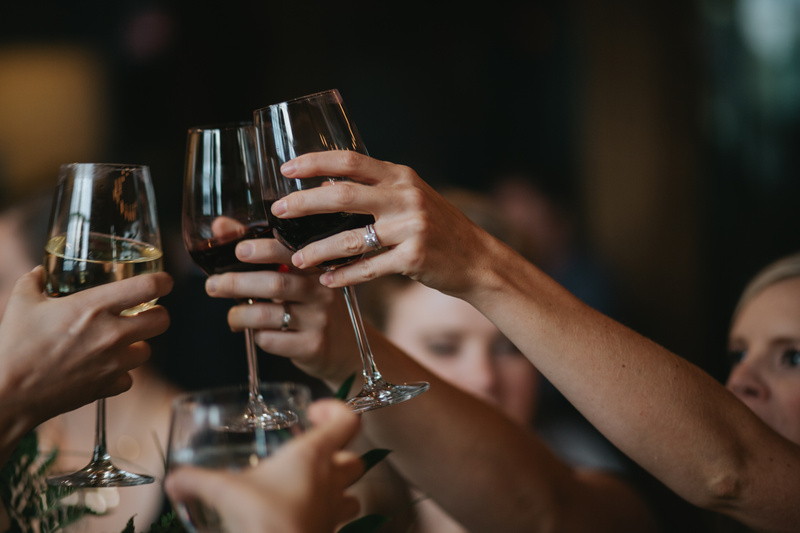 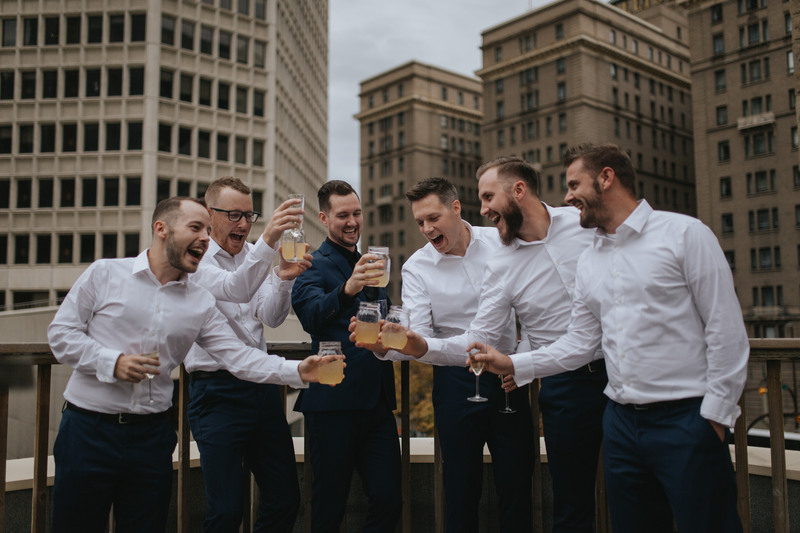 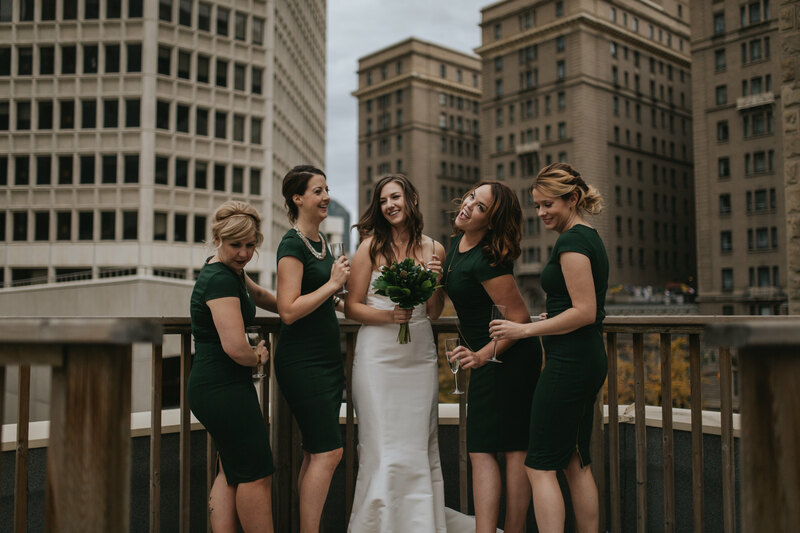 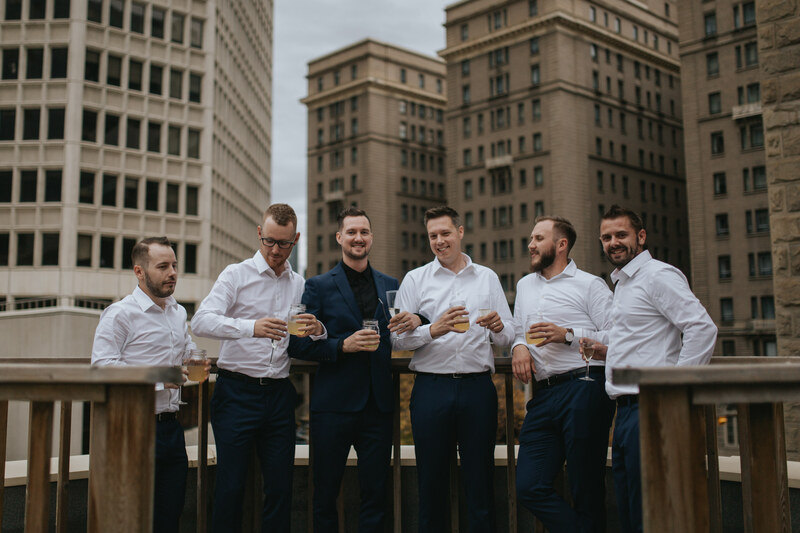 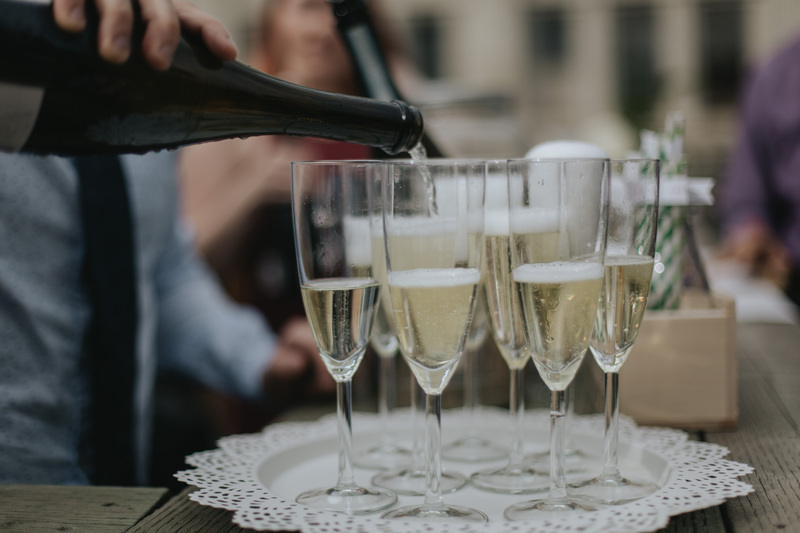 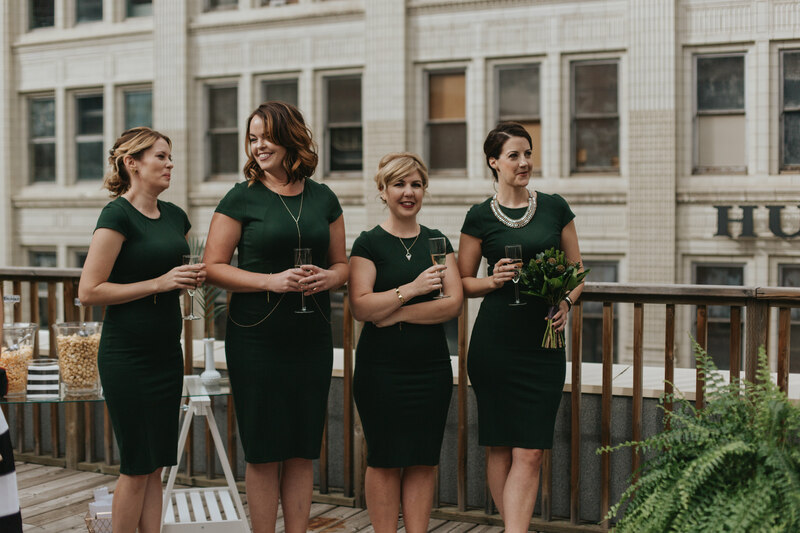 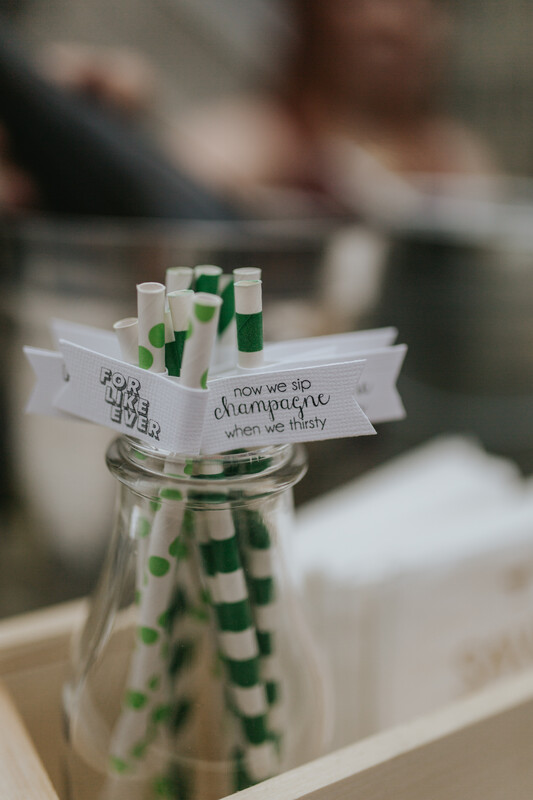 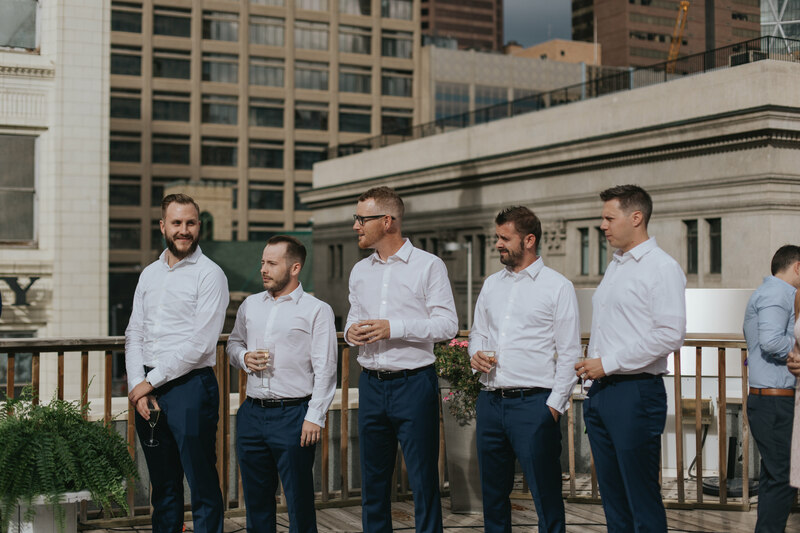 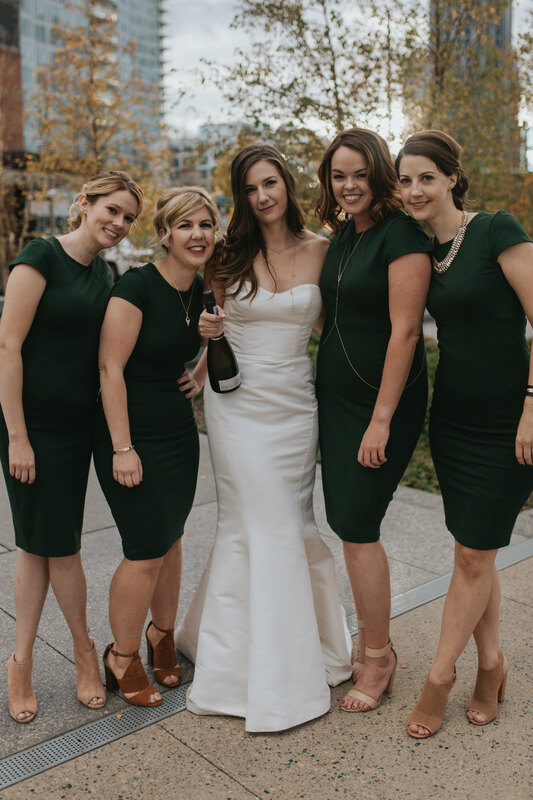 Their approach led them to ditching bridesmaid bouquets in favour of champagne flutes, avoiding all things nature, and carving out time before their ceremony for cocktails with their party at Last Best. 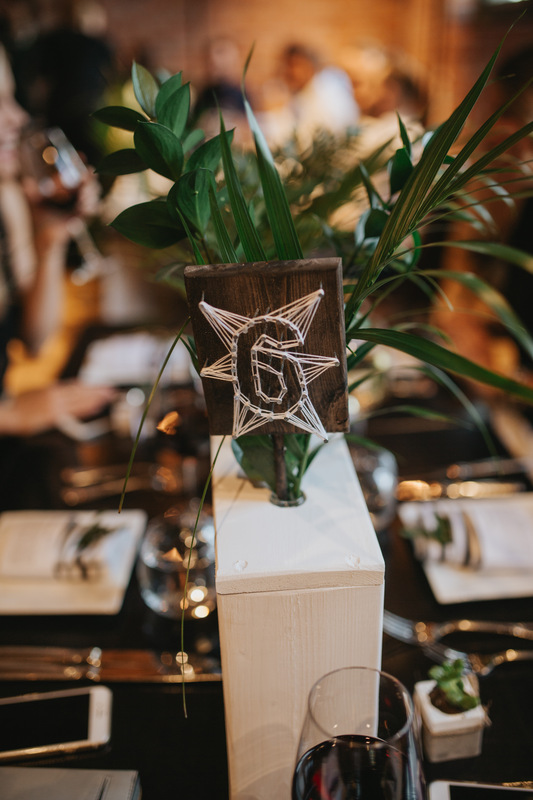 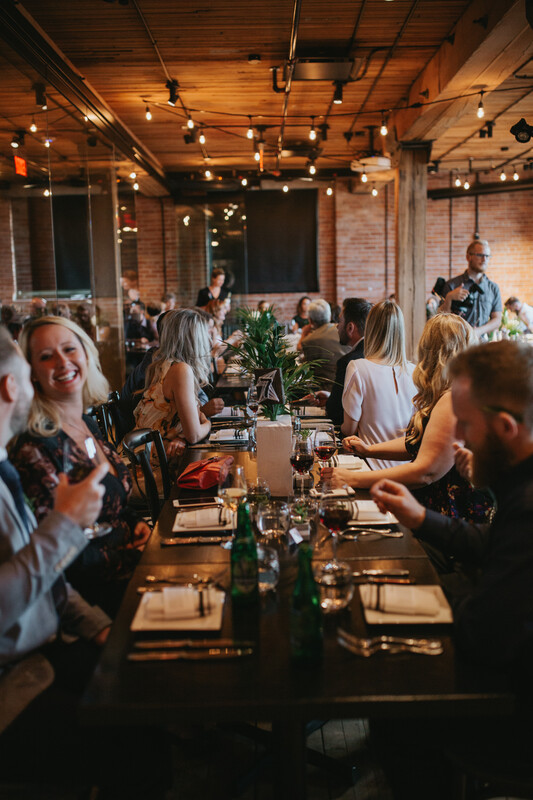 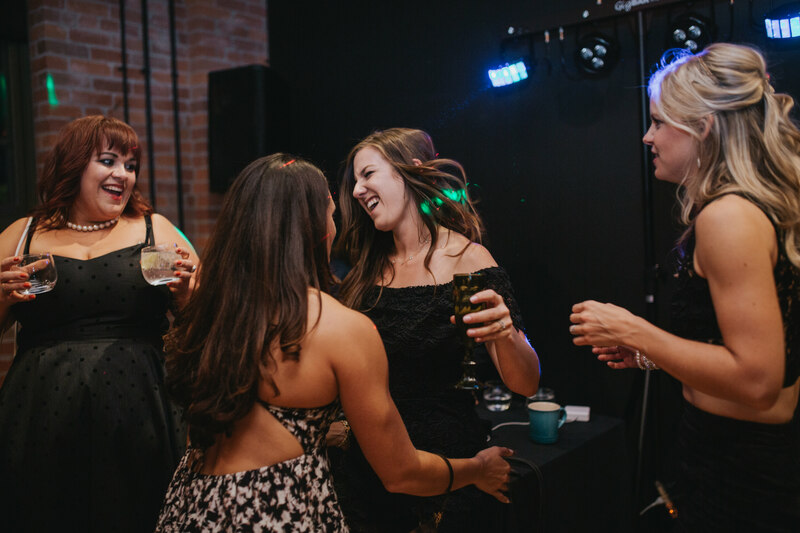 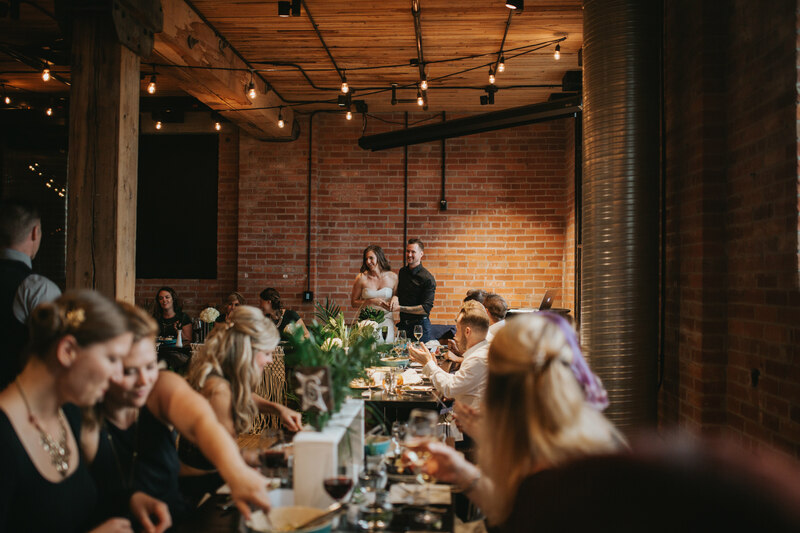 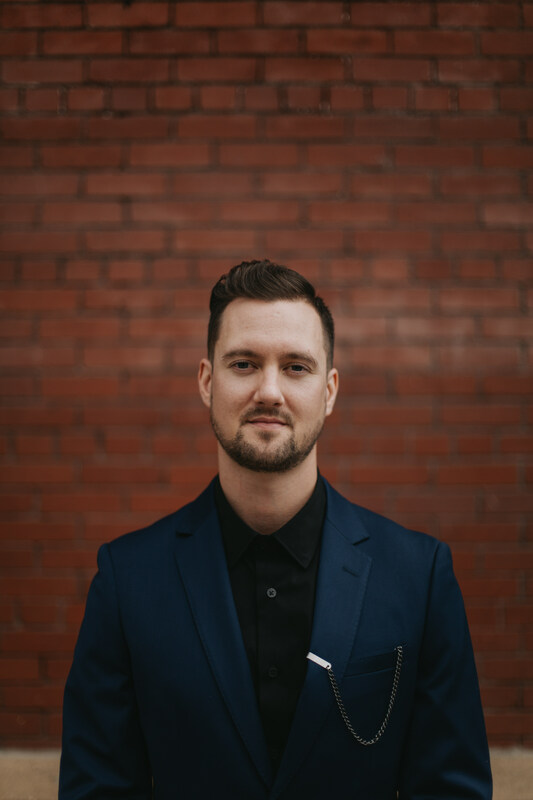 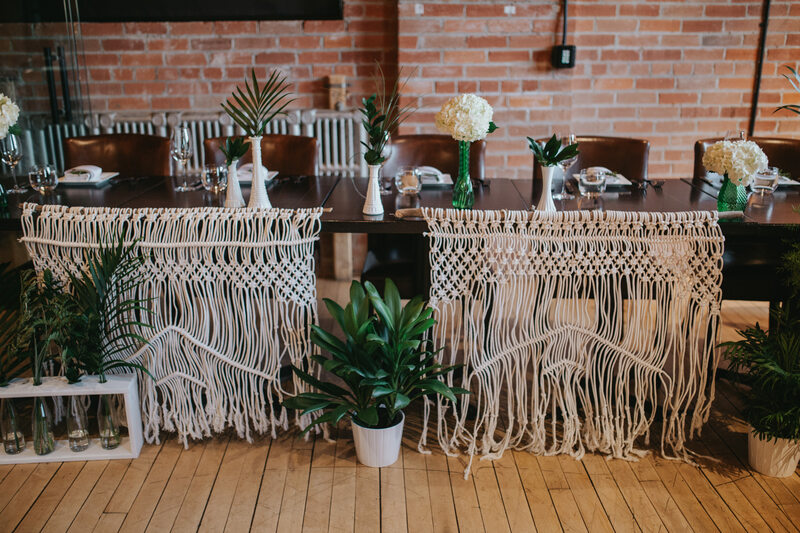 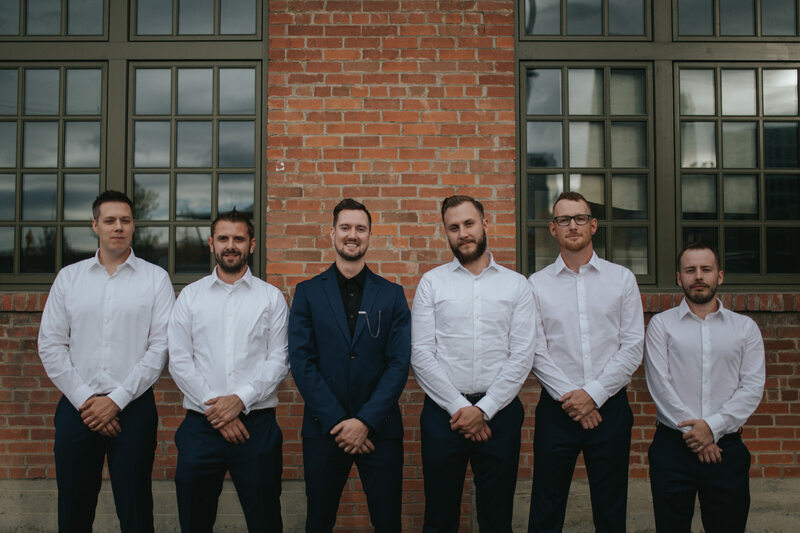 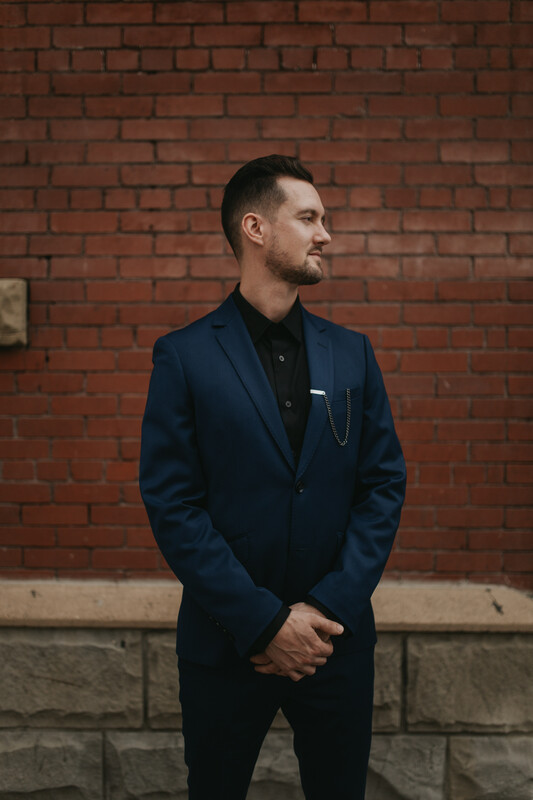 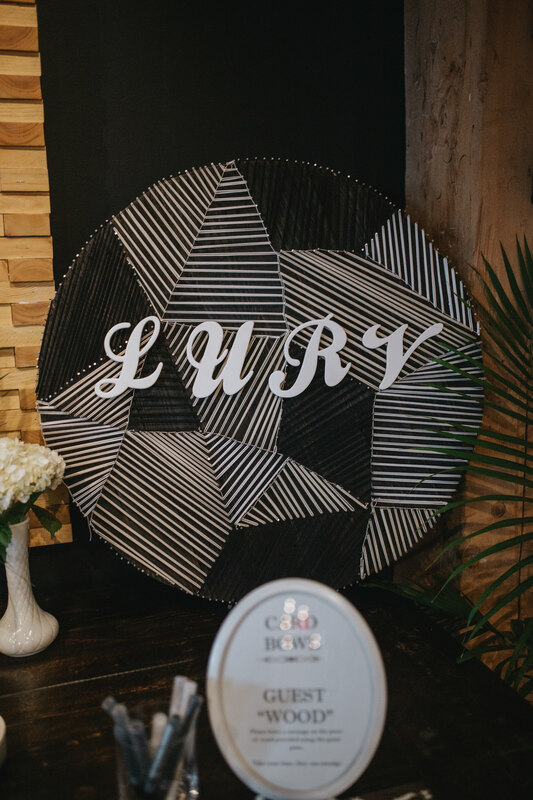 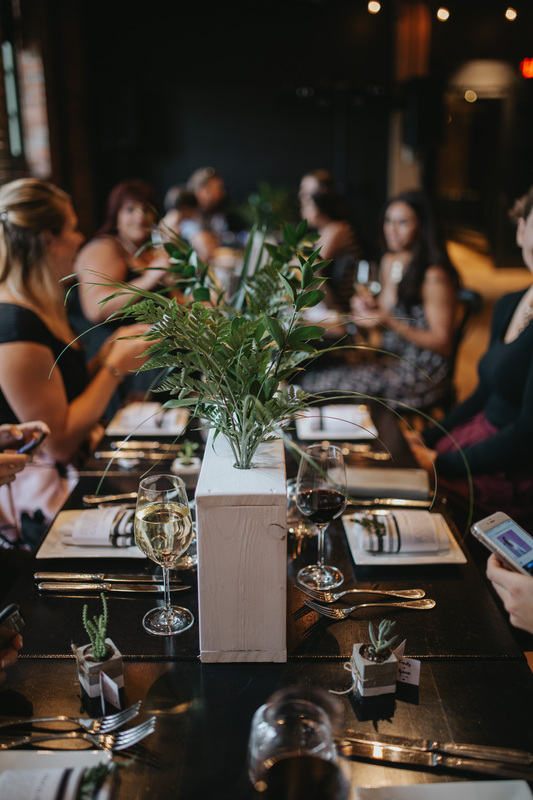 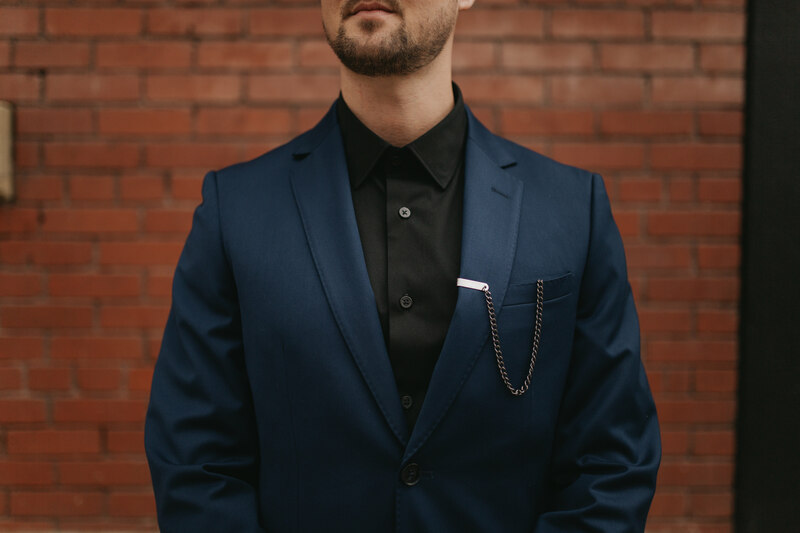 They spent hours building centrepieces, designing table numbers and signs, and were intentional about sourcing some incredible local products, including mini concrete planters and succulents for each guest. 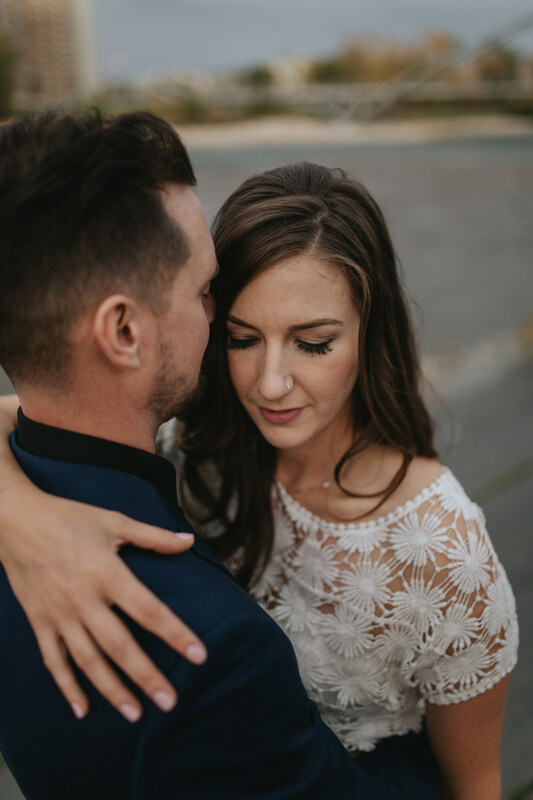 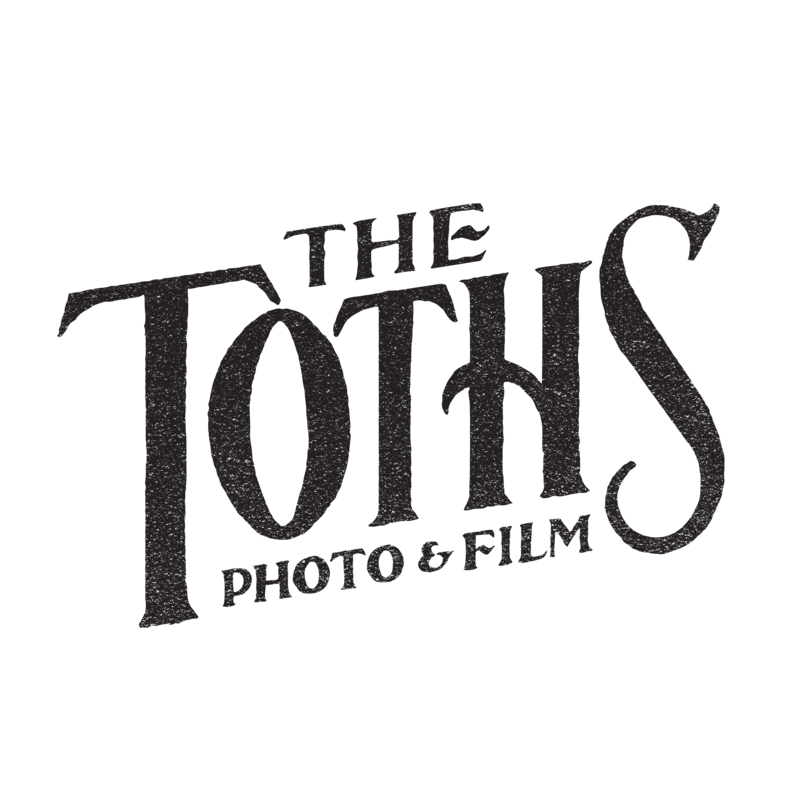 We truly could go on and on about all of the details, how much fun we had with these two, and their sweet, sweet love, but the video and images below will do a much better job. 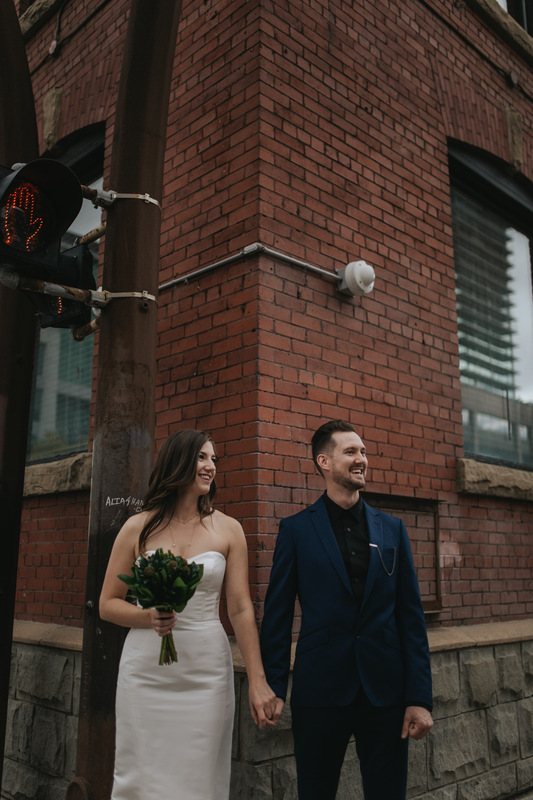 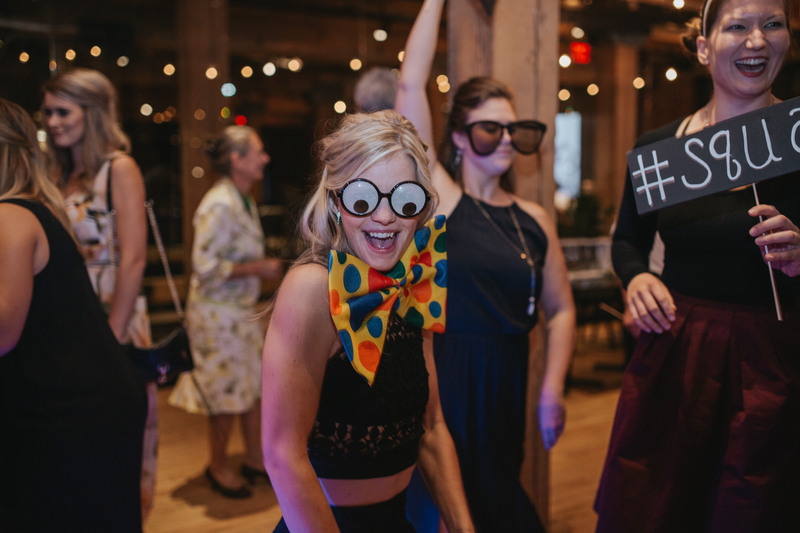 But we will leave you with this: Emily and Adam are some of the coolest people we have ever met, and their wedding was one of the coolest we have ever seen. 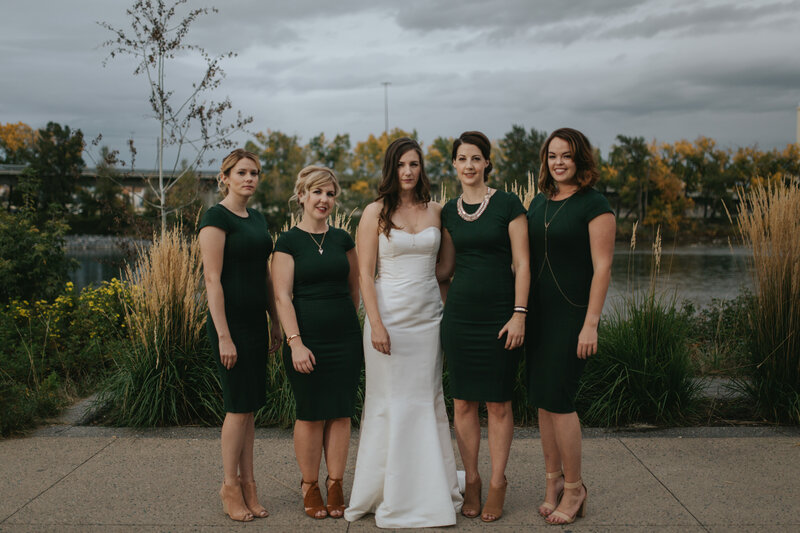 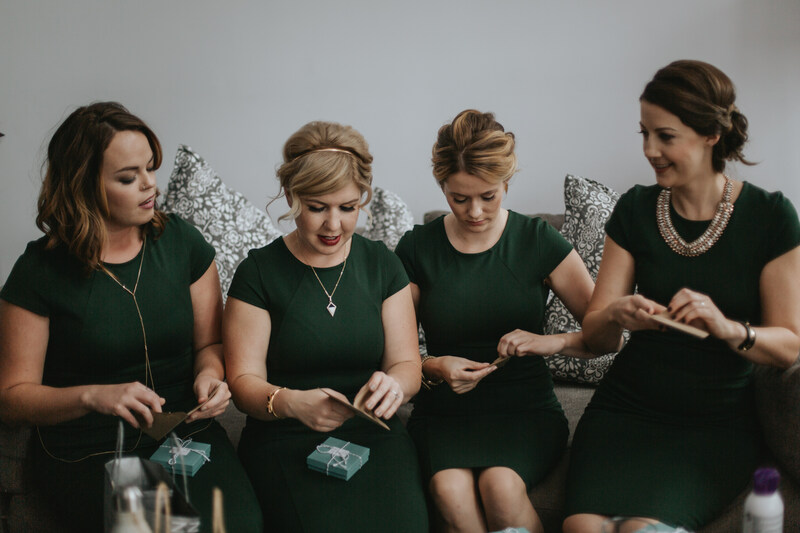 Bridesmaid’s Look: Dresses from Nordstrom and Felicity & Coco, Bracelets by Lemon & Leaf Designs, Hair by Erica Fuselli from Xstatik Salon Inc.